In September I signed up for the IHG promotion called The Big Win. There were different steps that I could do to earn points during this promotion. I first began by signing up for all the promotion codes that IHG provided. I found the codes here in message number 3. I added them to this page . Of course, I was already a member of their loyalty program. Get an additional 25000 Points if all promotions are completed until December 31, 2013. My point totals were a little higher than this. 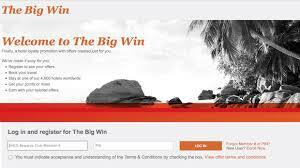 By entering the codes as well as trying to meet the different steps to the Big Win, I am getting lots of points. In fact, I have stayed at three of their brands and a fourth one will give me even more points. I have made a reservation at one of the brands that I have not stayed with yet just for the points. I looked around for the least expensive hotel I could find so I could made the reservation at the lowest price point. I am actually not planning on staying there. When I compare what I am spending to what I am receiving, I am definitely coming out ahead. IHG offers Point Breaks several times a year. 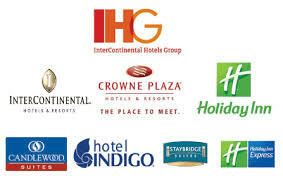 What this is are hotels in their brand around the world that are just 5,000 points per night. A new list will be coming out on November 1st but some of the hotels have been “leaked” and they are Intercontinental Hotels in Tahiti, Johannesburg, Shanghai Rujin, The Crowne Plaza in Muscat, Prague, Acapulco and Panama. Additionally there will be 143 properties in the United States that will have Pointbreaks! Check back on their website for the full list of hotels on November 1st. If you don’t have enough points in your IHG account, remember if you have Ultimate Reward points, you can transfer them in at a 1:1 ratio. See how valuable their points become? Becky from The Girl and Globe recently wrote a blog about her To-Do list and that got me thinking. Blogger Hubby and I have actually sat down and each have written where we would like to travel to. The countries that we had in common seemed like more of a priority than those that the other didn’t have on his list. I thought I would share my TO-Do and See List with you. Do you have a list of things you want to do and see in your lifetime? 3. Go to a Christmas market in Germany planning on going this year! As you can see, most of the things on my list involve traveling of some type. For us traveling gives us memories. We often talk about trips we have taken by ourselves, with our family and trips that we want to plan. It’s always something to look forward to and the excitement of planning gets us through some of the dreary winter months. What’s tops on your TO-Do and See List? Have you heard of the Veterans Advantage card? This is relatively new to me and the benefits are really good. For a yearly fee of less than $5 per month, you get access to many discounts. Currently there is a promotion of 20% off your membership. Benefits Plan with Valuable Insurance & Services: $50,000 in Global MEDEDVAC and $5,000 in Accident Insurance coverage at no extra charge for the full term of membership, plus a prescription drug discount plan accepted at 55,000 pharmacy locations nationwide, free Club O from Overstock, a complimentary personal financial planning package ($500 value), and VIP Concierge and travel assistance benefits from Travel Guard, the leading provider in travel services. Immediate Benefit Access: Benefits Plan coverage and member discounts nationwide provided immediately upon enrollment to honor you and your family for your service 365 days a year. VetRewards Card ID: Personalized with name and branch of service and sent by First Class Mail and — accepted at more than 100,000 participating locations for member discounts.Member benefits available online and by toll-free phone. Printed Member Benefits Directory: Complete 60-page printed color directory covering your benefits plan and member discounts sent by First Class Mail. Family Member Discounts: Add up to four family members to your member plan for HALF PRICE and they get your benefits plan insurance and other savings too! Personal Attention to Member Needs: Toll-free dedicated support plus online help for member assistance whenever you need it. Extra Bonus for New Members: Get a 30-day trial for a low $4.95 enrollment processing fee, or select from special offers for new members only – click here. United Airlines (5%), AMTRAK (15%), Avis (minimum 5%) Thrifty (5%), Lufthansa (5%), Dollar Rental (5%), Wyndham Hotels (20%) and so many more discounts. I just chose a few of the travel discounts. Click here if you are interested in taking advantage of the Veterans Advantage 20% off promotion. This is for active duty and retired military personnel. This post isn’t for everyone – or maybe it is if you are a grandparent and want to do something special with your grandchildren or if you have children that you want to be able to have a special time with their grandparents. This is something that Blogger Hubby and I have been thinking about. We weren’t sure if we would be able to “entertain” our 10 1/2 year old granddaughter for a full week or if she would even enjoy just being with us for a full week. We began to explore options. We had heard good comments about the Intergenerational Programs with Road Scholar (the new name for Elder Hostel) and decided that we would look into the program they had. 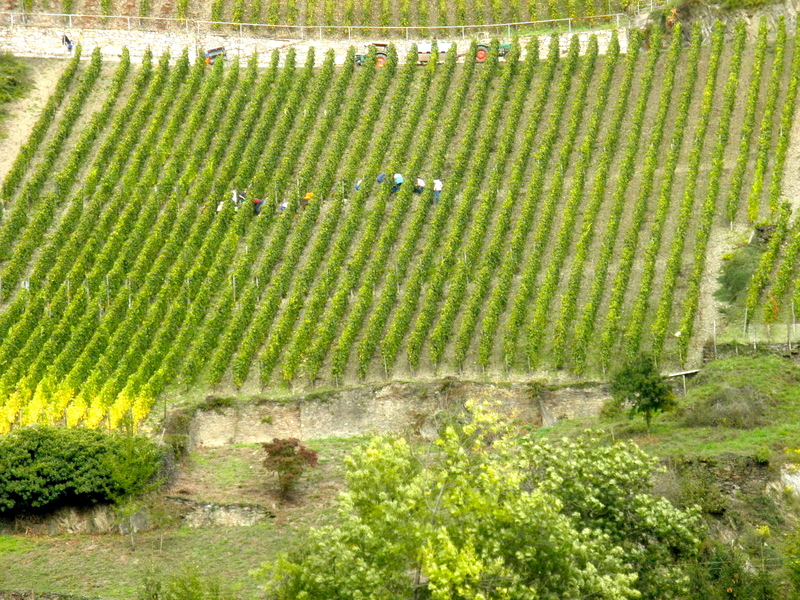 Tauck Tours have family trips where you travel with other families. 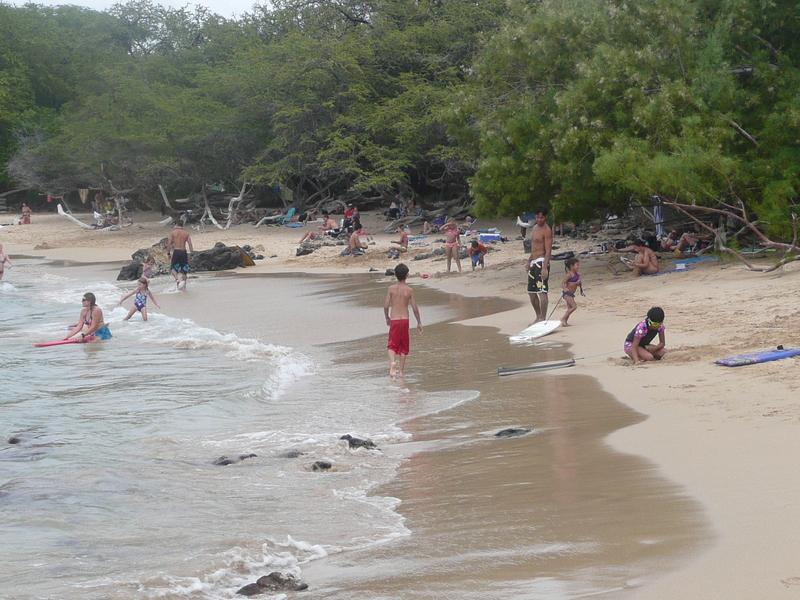 My friend took her daughter and her 10 year old son to the Galapagos Islands a few years ago with Tauck Family Trips. They were thoroughly impressed with the professionalism of their tour guides, the accommodations and the trip in general. If interested to see what they are offering, please go to this site. If you do travel with your grandchildren make sure you have a notarized letter from the parents giving permission for medical care. Also have copies of the grandchildren’s insurance cards. Don’t forget prescription cards, cards for dental insurance and secondary insurance cards if applicable. Make sure you have a passport if one is needed. To check what the requirements are for the country you might be visiting, be sure to go to the Department of State’s website – some countries require 6 months left on your passport; other require so many empty pages. Better to be safe than find out at the last minute that you need your passport updated. Some sites also suggest that if you are with children that you have and carry with you a limited power of attorney. Here’s what happening on the credit card front -remember I DO NOT receive any compensation from any of the credit card companies. You may or may not want to take advantage of some of these deals. American Express is back with a 20% British Airways transfer and 30% Virgin Atlantic transfer from now until December 31, 2013. I wouldn’t transfer unless you have a trip planned and need extra points. I try to stay as flexible as possible nevertheless, it is a good way to get extra points. According to Points, Miles and Martinis American Airlines is offering a bonus on purchased miles. The more you purchase the greater the bonus is. If you purchase 15,000 – 29,000 miles you’ll earn a bonus of 4,000 miles; 30,000 – 49,000 miles you’ll earn 8,000 miles. Click here for more details. Lufthansa has a 50,000 sign-up bonus for its credit card. This is a good deal because it gets you access to better First Class award seats on its partners such as Swiss Air. Here is a link for the credit card. Chase Marriott Credit Card – Renewal Time, What to Do? No, this isn’t a post extolling you to get this credit card but instead it is one where we were thinking about canceling this credit card since it is time for our renewal and the $85 fee and what are options were. Blogger Hubby enjoyed using some of our points that he received when he first signed up for this card last year – in fact, if he hadn’t had the points, he would have not stayed at a hotel and instead would have gotten up very early in the morning to drive to the airport. It made it very convenient for him to have those points in the bank and use them when he ordinarily wouldn’t have. A few minutes ago he just called the number on the back of the card and mentioned to the person that answered the phone that he was thinking of canceling his card and could he speak with a retention specialist. He was put right through and explained that he was thinking of canceling unless they could convince him otherwise. With renewal you automatically get one free night stay at a Category 1-5 hotel so right there, that was worth the renewal fee. Then to sweeten it for us, they said if he made 15 purchases in the next three months, they would credit our account with 5,000 points. The purchases can be for any amount. We readily accepted. The point of this is when you are thinking about whether to keep or cancel a credit card consider what benefit you may gain out of keeping it: is it worth the annual fee, in this case $85, for the benefit you might derive out of it (a free night stay and for us 5,000 points0? Only you can decide that. 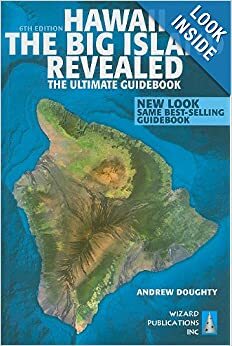 We found that the book series called “Hawaii Revealed” helped us enormously in getting around the islands, finding shortcuts, knowing where to stop for beaches that have no signs. We bought ours on Amazon (5 x points with your Chase Freedom card). We actually bought three of them, one for each island that we visited. As we were driving up Rt. 19 on the Big Island, we read the narrative and saw sights that we would have missed without these books. While on the Big Island at the Hilton Waikoloa Resort, we found that we did not eat any meals there with the exception of the Luau (which was really good). Just before the Hilton is a group of stores on both sides of the road called the Kings Marketplace and the Queens Marketplace. In the Queens Marketplace, we ate at a Macaroni Grill. We also picked up snacks, soft drinks, muffins and breakfast goodies at the Island Gourmet. Yes, it was expensive but much less expensive than purchasing snacks from the hotel snack shop. In Kauai, we were on the Poipu Coast. We found a Gourmet Farmers Market in the Shops at Kukui’ula that was held on Wednesday afternoons. If you have a chance, stop here. There are also a number of great little shops and restaurants as well. We came back here on Thursday night for dinner. 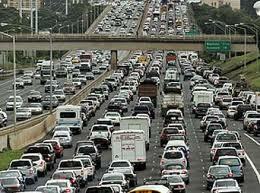 From the Grand Hyatt, it is less than 10 minutes away on a straight road which is Poipu Road. 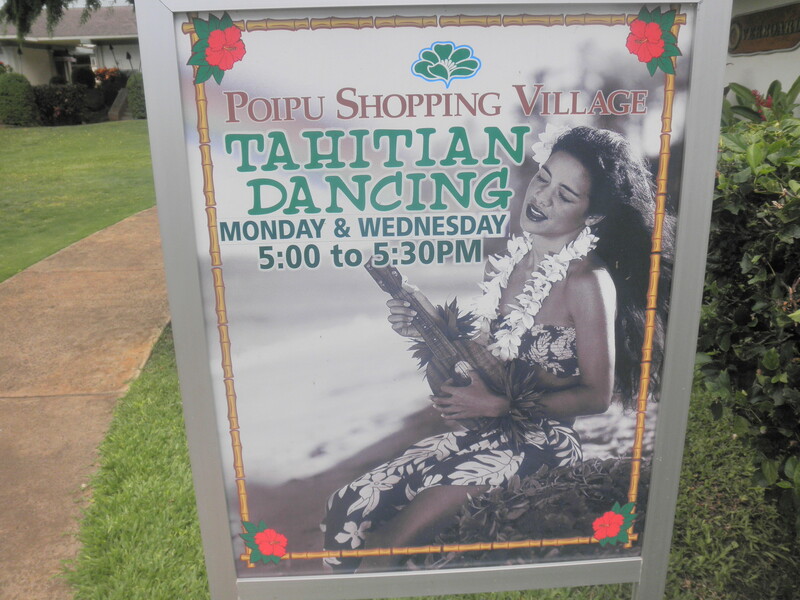 As you are on this road going back to the resort area, you’ll pass another shopping area – Poipu Shopping Village. Stop here for lunch. You want to find the Puka Dog take out restaurant. 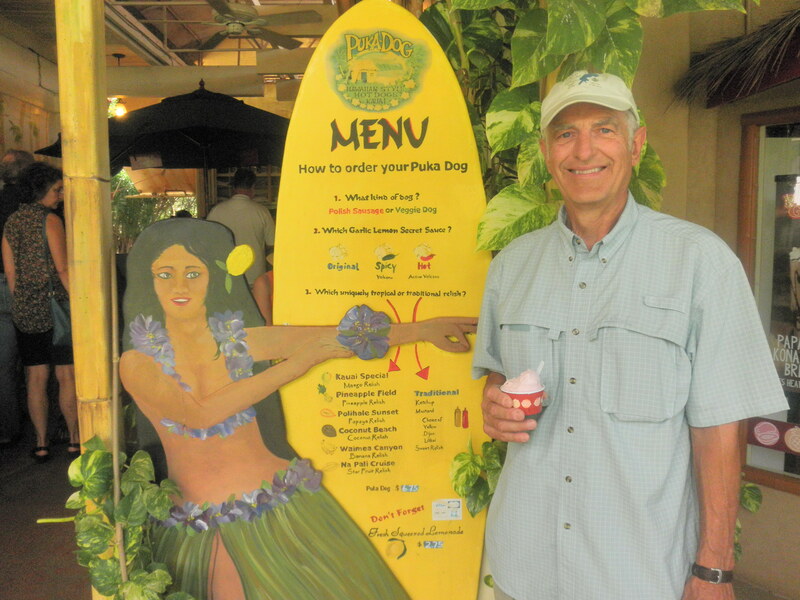 A Puka Dog is an island specialty. They bake sweet Hawaiian bread and impale it on a rod. Once the hole is made they insert either a sausage or a hot dog and then it is topped off with your choice of fruit relishes and/or Hawaiian mustard. 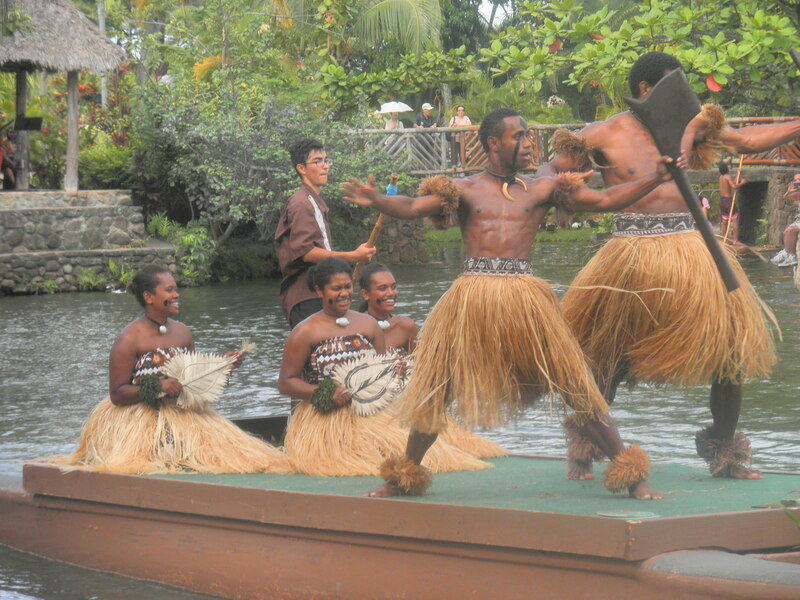 At this same shopping center, they have Tahitian Dancing twice a week. If you are headed to the Waimea Canyon, stop in Waimea and go into Ishihara’s market and head to the deli. They have wonderful to go lunches there. We had Korean chicken wings, a noodle salad and rice. I believe the lunch was under $10 and there was more than enough for both of us to eat and to have leftovers as well. Just past the market you take a right to go to the Canyon. Two tips about the canyon – you will find a couple of vendors selling palm woven baskets for about $20 each. If you get them when they only have two left, you can bargain because they want to go home. I suggested $15 for one and instead, since he wanted to go home, he gave me 2 for $20. In my mind, I’m keeping an island tradition alive and have a nice momento. The other tip, when you get to the restaurant and museum with cabins keep going because it is not the end of the road. Go all the way to the end which isn’t that much further. 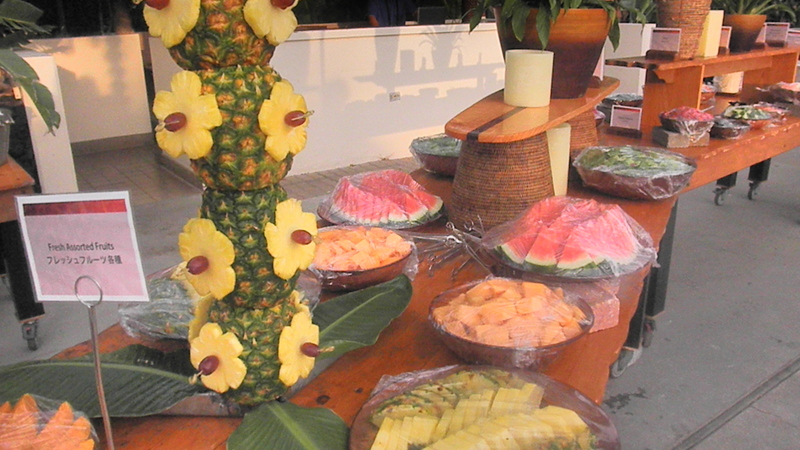 You might find some fruit vendors at the lookouts – enjoy the fresh pineapple, dragonfruit, papaya, etc. Finding a great beach on The Big Island – as you go out onto 19 North from the Waikoloa Beach area turn left at the next paved road on the right. Go down the road till you see the Recycling Center and turn an immediate right. Continue down for about 3 miles and you will come to a small parking lot on your right. Pull in. 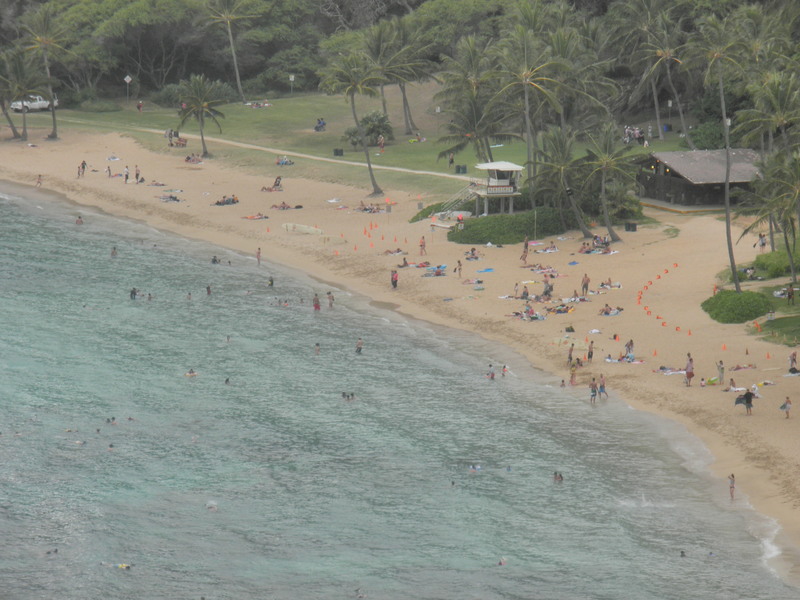 As you leave the parking lot to go to the beach, you will see a little meter for non-Hawaiian residents to pay. From our understanding, the machine is broken and no one came by to check on us or it. 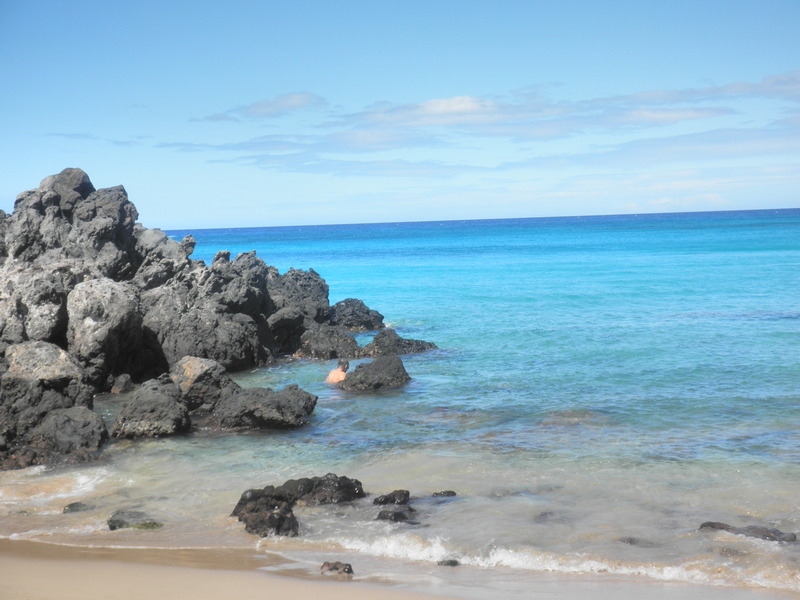 This is a nice little beach, large lava rocks in the water, calm water for swimming and snorkeling. 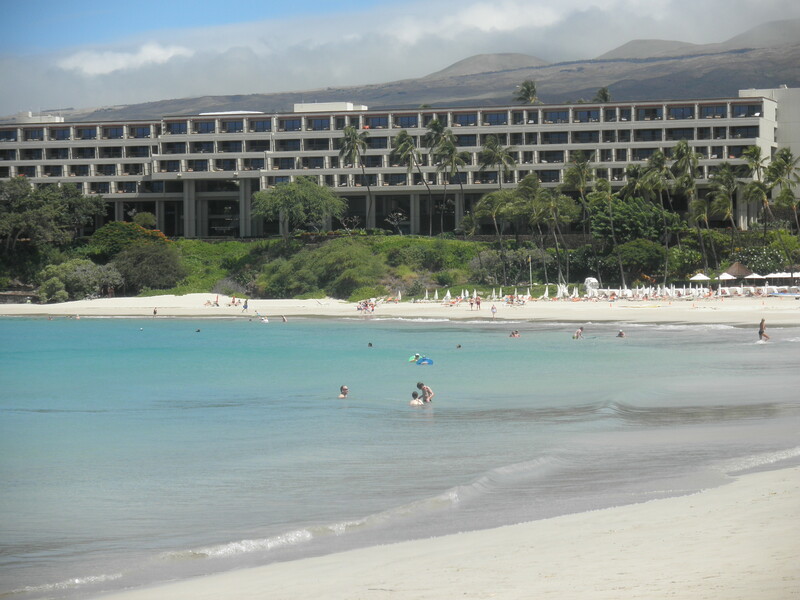 The second public beach that I want to mention is at the Mauna Kea Resort. Again, continue up Rt 19 North and you will see the sign for the Mauna Kea resort. Turn in and stop at the gate house and ask for a parking pass for the public beach. They only have 40 spaces so get there before 10:00 on weekends. The public beach was there first and the resort was built up around it. The deal that they made was to keep 40 parking spaces available for the public. It is a very nice beach and I would recommend it. Those are some of my Hawaiian tips – let me know if you use any of them or have been to some of the places I have recommended. If you have enjoyed reading my blog, please consider joining the other 350 readers by having it delivered to your mailbox with each post. If you go to the right, you’ll see a box for Follow This Blog. My goal is to have 500 followers by the holidays – please help me make this wish come true! I had read about this hotel and was very anxious to see what everyone was talking about. We were able to stay here since we had opened our Chase Hyatt credit card that came with two free nights at any Hyatt anywhere around the world. The Hyatt that everyone talk about are the Grand Hyatts in Sydney, Tokyo, Paris and Kauai. Using it in Kauai was the natural choice for us. With the free nights and since we have the Hyatt card, we did not have to pay the $25 per day resort fee or the wifi for our room. There is free complimentary parking or a for charge valet service for your car; we chose the free parking. In preparation for our stay in Kauai, I emailed the concierge at the Hyatt for a list of suggestions and ideas of what we should do and see. One of the suggestions was a dinner cruise along the Na Pali Coast. That sounded like something we would do and since he didn’t say that reservations were important to make ahead of time, we decided to wait since they were having heavy rain and flash floods in Kauai. More about this later. We were able to catch an earlier flight out of Honolulu and arrived on Kauai about an hour earlier than planned at 9:00 AM. As Blogger Hubby was getting our rental car, I called the hotel and inquired if we could have an earlier check-in. After a few minutes on hold, I was told that we could drive over to the hotel and they would accommodate us. Before we drove to the airport, we took the rental car shuttle driver’s advice and had breakfast in Lihue at the Tip Top Cafe. I had macadamian nuts pancakes and Blogger Hubby had oxtail soup. 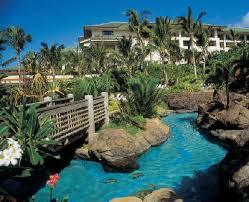 The hotel is about 20 minutes from the Lihue airport on Kauai. Very easy to get to. As were pulled up to the front of the hotel in our rental car, the doorman greeted us, put a beautiful orchid lei around my neck and a black beaded lei around Blogger Hubby’s neck. Check-in was easy and before we knew it, a bellman had our luggage and as he walked us to our room, he told us a bit about the resort and showed us around. We were on the first floor with a pool view on the Shipwreck Beach side. We had two queen size beds, 2 refrigerators and a microwave in our room. 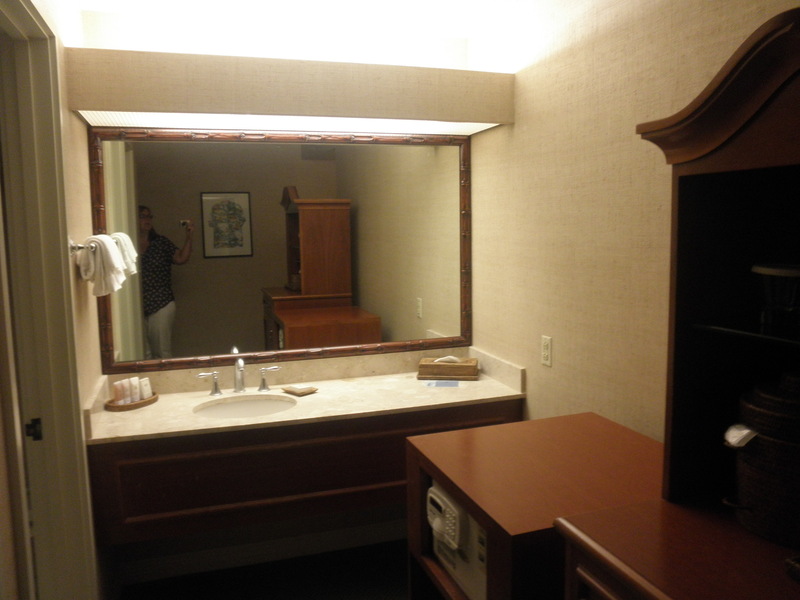 The common bathroom area was quite large with two sinks. 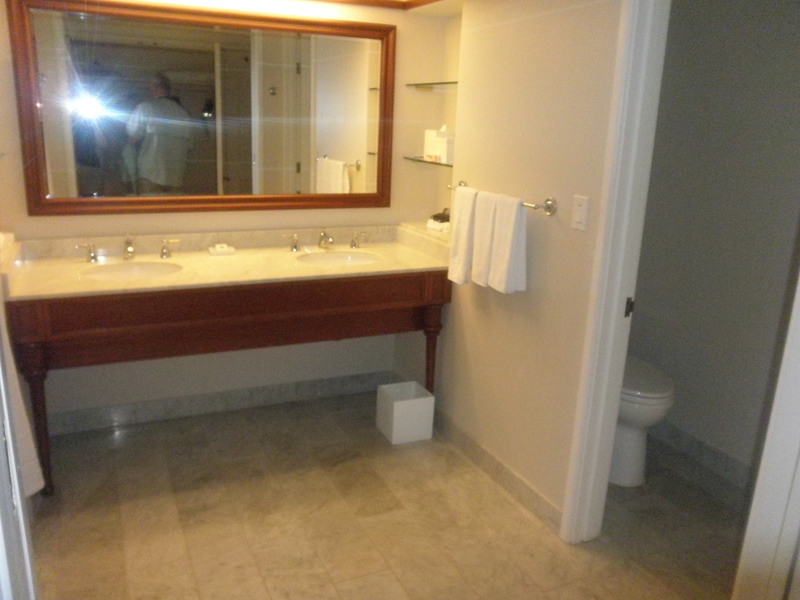 To the left was the bathtub and shower and on the right was the toilet. Our balcony had two chairs and an eating size round glass table. Close to our door, was a swimming pool and the pool cabanas. The grounds were beautiful, multi-level with bridges across the water and pools on different levels. They even had a lagoon with a sandy beach so you felt like you were in the ocean of which I didn’t see anyone in it. There is what I call a lazy river that you can float a long way in and even go on a water slide (yes, I went on the slide). It was a fun way to spend a day. The hot tub is in a lava rock pool. I really liked this hotel. The Hyatt also has the Anara Spa but it is so much more than just massages. 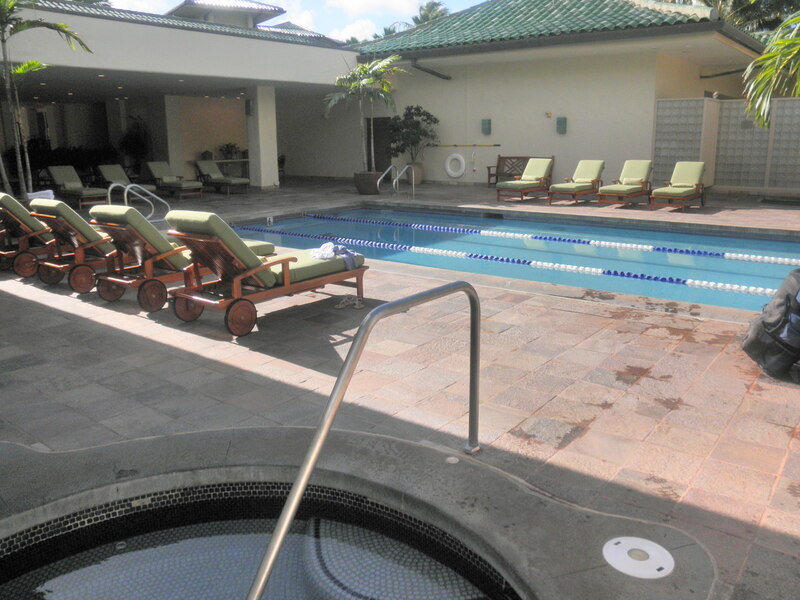 It is a place to go that is quiet and peaceful with a multi lane lap pool, cushioned lounges around, jacuzzis, lava rock showers, a locker room with a vanity with products so you don’t have to bring your own. Along the “bar” by the pool they have fruit infused water for he taking as well as a few tables so you can order a meal to eat. Soft relaxing music compliment the spa. 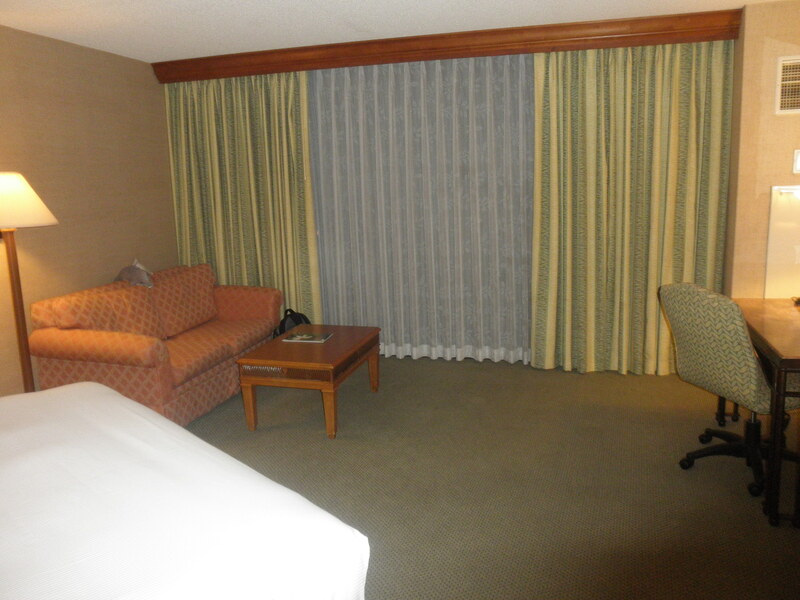 This is where we hung out after we checked out of our room and didn’t have to be to the airport till 4 hours later. We never made it to the NaPali Coast because when we went to the concierge desk after arrival we were told that we had to pre-reserve the tickets of which nothing was said in the emails that I had received. We were very disappointed in not having the information early enough to know to make reservations in advance of our trip. 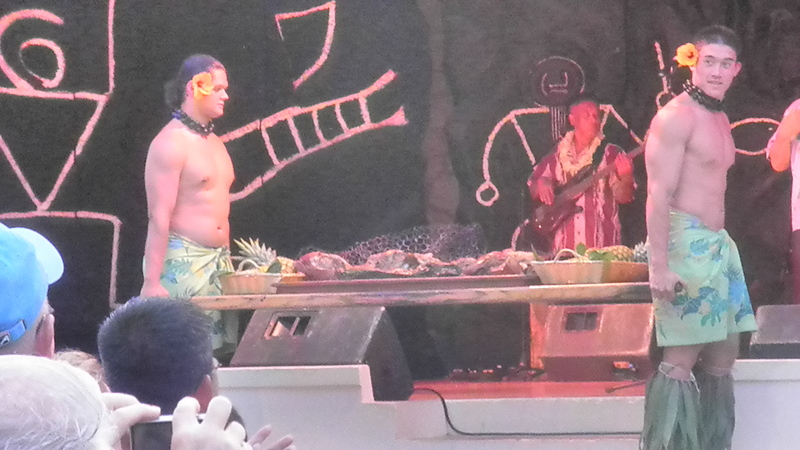 Also, when I asked about different luaus on the island, I was only directed to the one sponsored by the Hyatt. Turns out the concierges are not Hyatt employees but are employeed by Travelocity. Not sure if this is good thing or not but it is what it is. I was very pleased with our stay. They do a lot of little things to make me want to spread the word at how good it is and to come back. In our room, we had a recycle trash container; nightly turn down service with chocolates and orchids on our bed; our refrigerator had complimentary water and it was restocked twice a day; all the water that was in the pool complex was for our recreation and swimming and not just for show; our room was easily accessible to the main lobby; their beach towels are a very good size, and there was a guitarist each evening that we listened to. There is so much more about this facility that I could go on and on. Oh, and did I mention that they have a wonderful Camp Hyatt for children. The ONLY negative that I would say is that there were not enough outlets for me to sit in the very comfortable chair and plug in my computer while using it. mornings, afternoons and even the evenings. She was never bothered with me asking questions and generally wanted me to have a wonderful vacation. She certainly personifies the hospitality that Hyatt is know for. 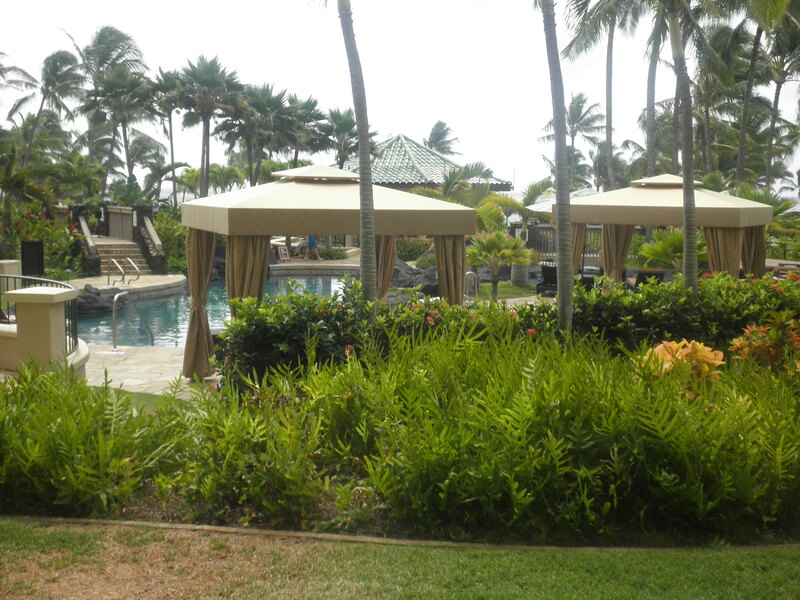 If you are looking for a hotel in Kauai, look no further because you should spend your vacation here. 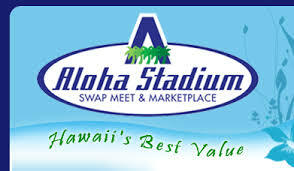 We had been told by many of you that we just had to go to the Aloha Stadium Swap Meet. We listened and followed your advice. We got there in the morning, found the stadium and found that it was CLOSED! What the heck. Apparently, the University of Hawaii had a football game that afternoon so there was no swap meet. Lesson One: Always check the swap meet schedule since there are other days that it is cancelled. We had made our reservations on the Museum Live site that I wrote about earlier. 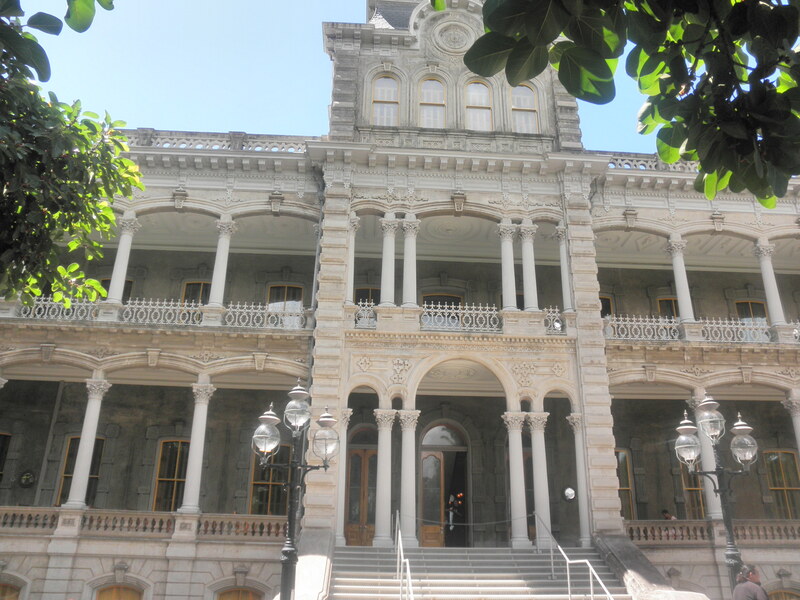 We held reservations for the Iolani Palace and Queen Emma Summer Home both in Honolulu. I wanted to visit the palace as it is the only palace in all of the 50 states. With our tickets, we received the headphones to do a self guided audio tour. It was fascinating to learn the history and see the portraits of the various King Kamehamehas and to learn about the sad story of what the US government and some American business men did to the last Queen of the Hawaiian Islands, Queen Liliu’okalani in 1895. I would recommend visiting the palace There is free parking on the grounds of the palace, you do not need to feed the meters out front on the street. Lesson Two: always ask first if there is free parking before putting $2 of quarters in a meter out front. Next up was to drive to the outer limits of Honolulu to visit Queen Emma’s summer home. There wasn’t much there, the women volunteering that day didn’t know much except for one docent who always had a crowd around here. I would not recommend this site. 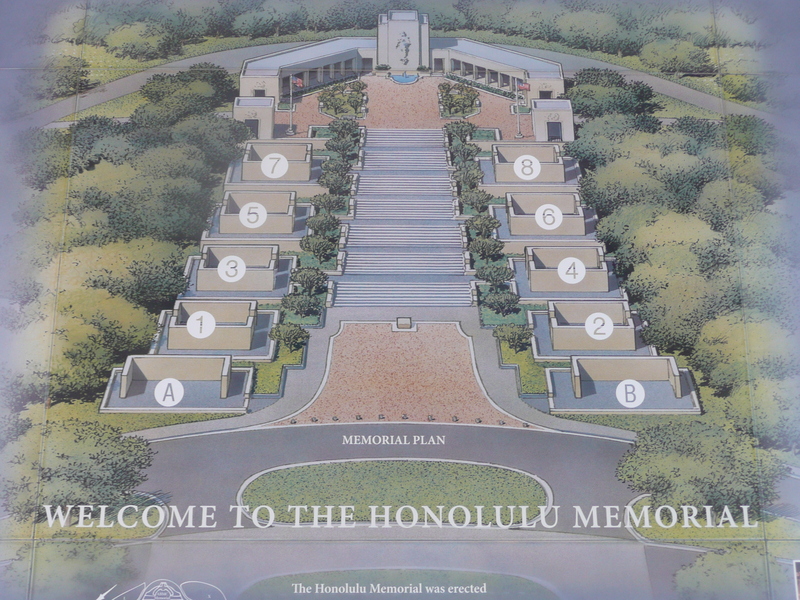 On our way back into the city from Queen Emma’s Summer Home we saw a sign on Puli Highway for Punchbowl Memorial. We decided to go there. Let me tell you, once you get off the main road, the signage is very poor. Very small blue signs placed higher than most signs. The signs also referred to the Veterans Affairs? We didn’t get that, thought it was a national park or national memorial that would have the brown signs. I did find out later that it is a national cemetery. Nevertheless, after a few wrong turns, we made it to Punch Bowl, checked in at the Visitor Center and was told to drive to the top where the mosaics of the different campaigns were. Blogger Hubby enjoyed looking at all the campaigns; me, not so much as I really don’t know much about the World War II campaigns and battles. Lesson Three: don’t depend on signage, get directions first. 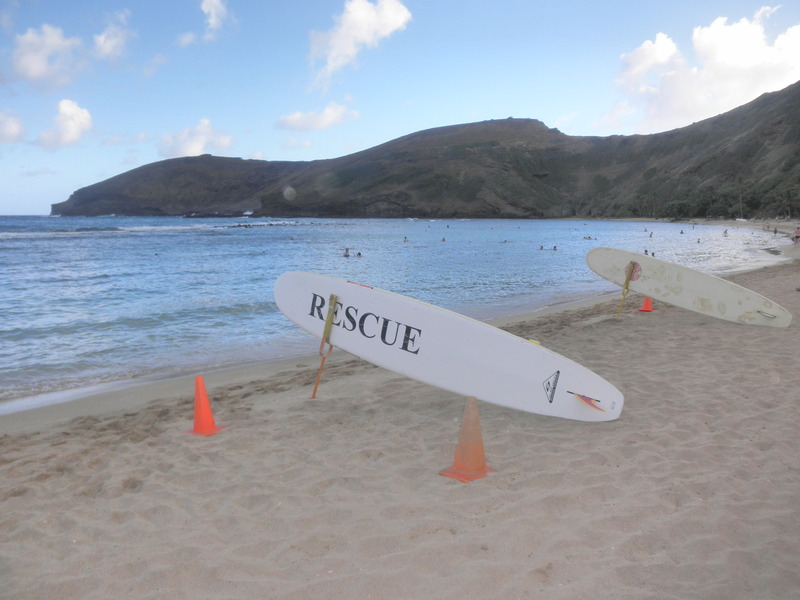 After the seriousness of the Punch Bowl, we headed for some fun – snorkeling in the famed Hanauma Bay. It is a sunken crater on the water on the southeastern coast of O’ahu. It cost $1 to park. If you want to go to the beach, then it is an additional $7.50 each and then you have to watch a 19 minute video on protecting the coral. It’s a good reminder for swimmers and snorkelers. You can walk down the paved road to get to the beach or hop on the tram for $1 to ride down. They do have rental of snorkeling equipment though we brought our own. With the coral, there were all sorts of fish to see and swim with. The sand was gravely, not the type of fine sand that I’m used to. We elected to ride the tram up for $1.50. We got in our car and headed back to go home only the traffic was very backed up. We turned around again and decide to go along the eastern coast and cut over on the H3 . Although it is a longer way back, we were moving and we saw some beautiful scenery along the way. If we were going back to O’ahu, we would definitely stay along the southeastern coast. We can now say we have been on each single square inch of road along the coast of O’ahu. 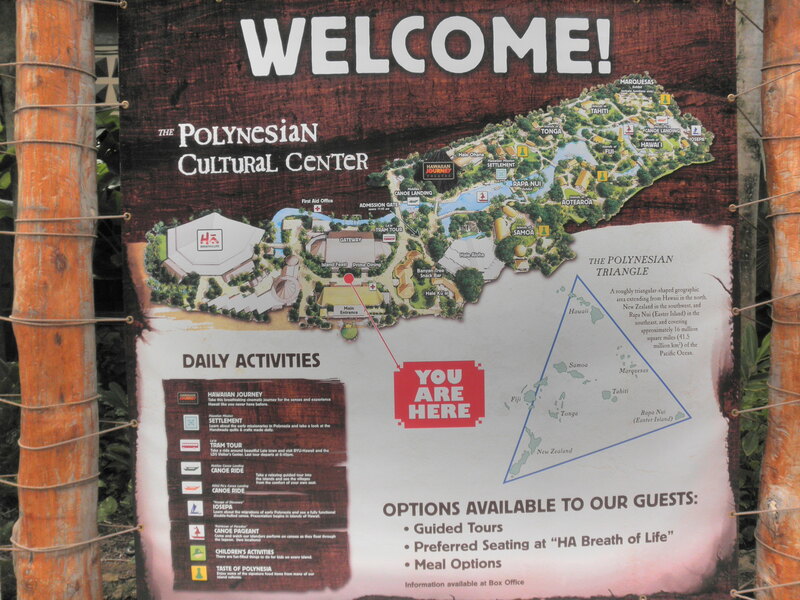 It took us a couple of hours to drive to the Polynesian Cultural Center on the northeast side of the island, the wet side and that included a stop at several food trucks along the way. If you have the chance, make sure you stop at some of the shrimp trucks – the shrimp is grown locally along the eastern coast of O’ahu. This side of the island is beautiful, more beautiful than I could imagine. Since we were staying on the dry side, everything was brown and very little vegetation. This side was all green, tall mountains and the folds in the mountains covered in greenery was stunning. Photographs do not do it justice particularly mine from inside our car. Parking at the PCC is $8 but if you stay only 2 hours, present your parking ticket on the way out and they will refund you half your parking fee. We thought for sure that we would be out in two hours but that never happened. 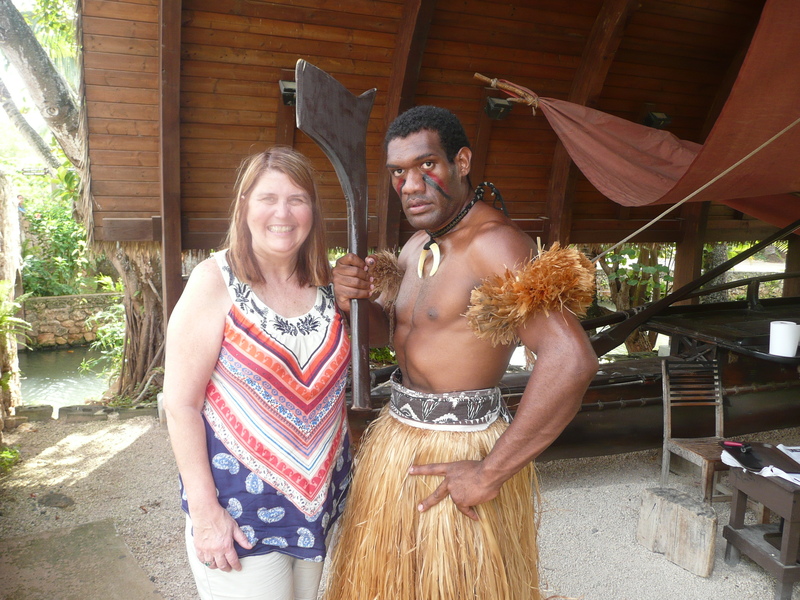 I had mixed feelings about the PCC – was it going to be hokey, Disneyland-ish or a real look into the cultural differences and similarities of the various Pacific Islands and the Islanders. Would it be very crowded, something Blogger Hubby would not like and too hot. We were pleasantly surprised on all accounts. Since we booked our tickets through the Travel and Leisure Office at the military base at Schofield Barracks, we needed to go to the “Will Call” office to pick up our physical tickets. There is a savings this way so if you are active duty military or retired, make this extra step and go to the Travel and Leisure Office (formerly MWR) and see all that is available to you and take advantage of it. As we entered the PCC we were given a schedule of the various shows. 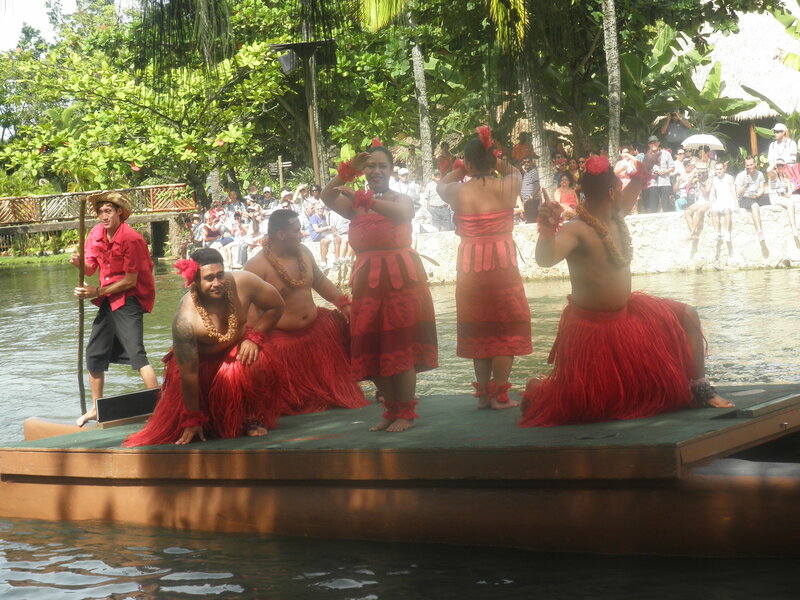 The first one that I wanted to see was the Canoe Pageant along the lagoon. 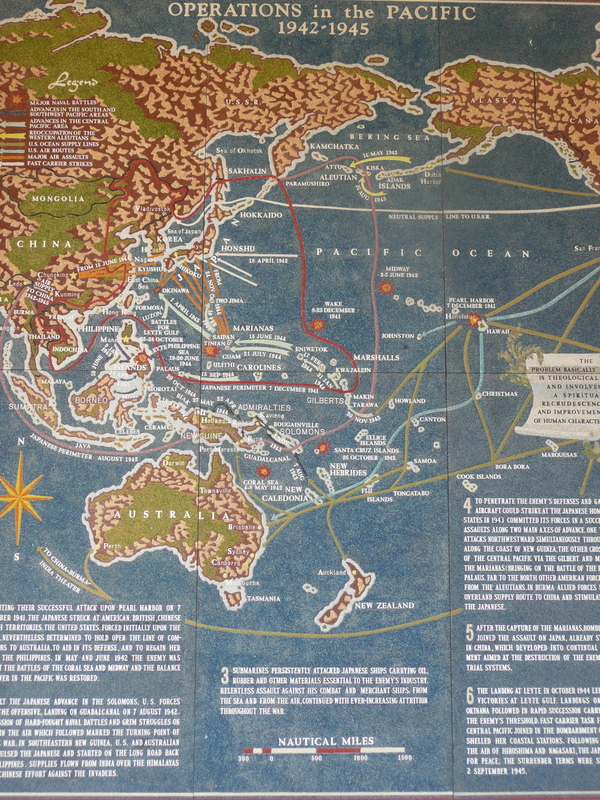 The PCC includes 6 islands of the Pacific: Hawaii, Tonga, American Samoa, Fiji, Tahiti and Aotearoa (New Zealand). 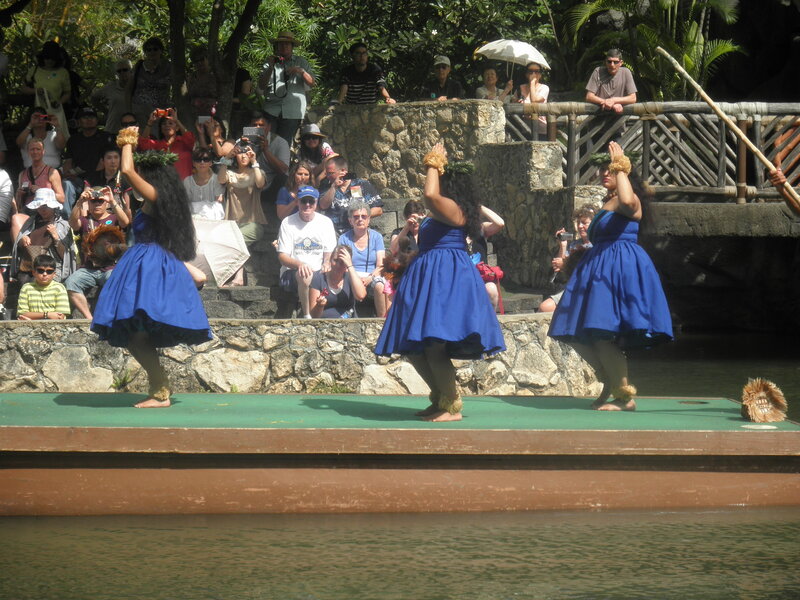 As each canoe entered the lagoon area, there were 3 female dancers and 2-3 male dancers. They were dressed in their native garb. Music played and the female dancers danced first. The males would then join them though one male might be beating the drums. Once that canoe left, another came and so on and so forth. It was, in my opinion, very interesting to watch. From that show we walked to the Fujian (is that a word?) show. Along the way were various huts with an education component to them. The Fujian show was great as they enlisted 3 volunteers from the audience. The main Fujian played his big drum, making loud noises. He then would take one volunteer at a time and have them copy what he was doing. To say that it was hysterical would be an understatement. How he knew that the volunteers from Australia, Tennessee and California would be as funny as they were was remarkable. In fact, at one point during the show the Fujian tried hard to hold back his laughter and finally told the gentleman from Tennessee that he was suppose to be the main performer, not the volunteer! We next went to the hut in Tahiti where we learned how to play the hollow bamboo stick (one end was covered), how to say “Bula” in Fijian and listened to stories. 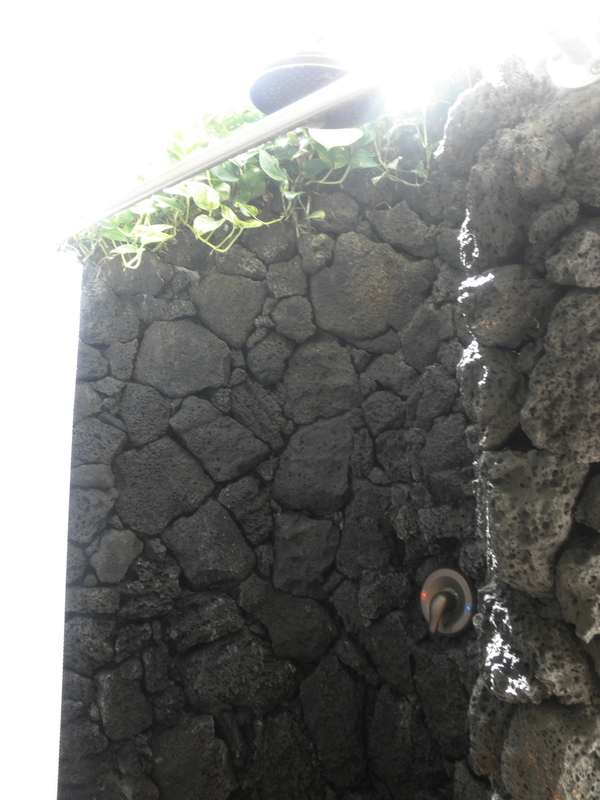 During the day we also saw a scaled down though still extremely large replica of the sailing catamarans that was used to sail the Pacific; how they navigated the seas; their heritage and commonality of language among the islanders; we tasted fresh poi; visited a mission home, saw the quilts that were made in Hawaii; how to start fire using two sticks and the husk(for lack of a better word) of a coconut; how to crack a coconut very easy; how to get the mild out of the coconut by scraping the meat out, putting it in the husk, twisting the husk and using it as a strainer; how to climb a palm tree and so much more. We wished we had gotten there earlier because there was so much to see. Everything was quite walkable and not huge like some parks are. The PCC is owned and operated by Brigham Young University and the employees are students at BYU or former students. They reminded us several times, though in a gentle way, that by our purchases we are helping to offset tuition for those employees who work there. Their college is right behind the PCC. 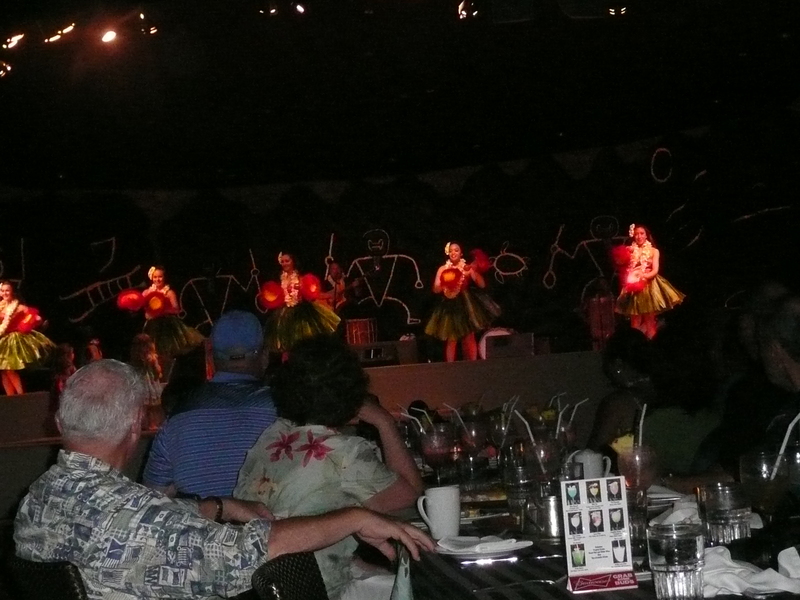 There is a luau at the PCC but it didn’t appeal to us because of the large number of guests that it could accommodate. We walked away very happy with our decision to go to the PCC and would recommend it if you want a feeling of the flavor of the islands then you need to go visit the PCC. I am not sure I would take young children though. As a side note: earlier that morning, Blogger Hubby had seen a strange boat in the waters off of our condo. It had red sails and appeared to be an old fashioned style boat. 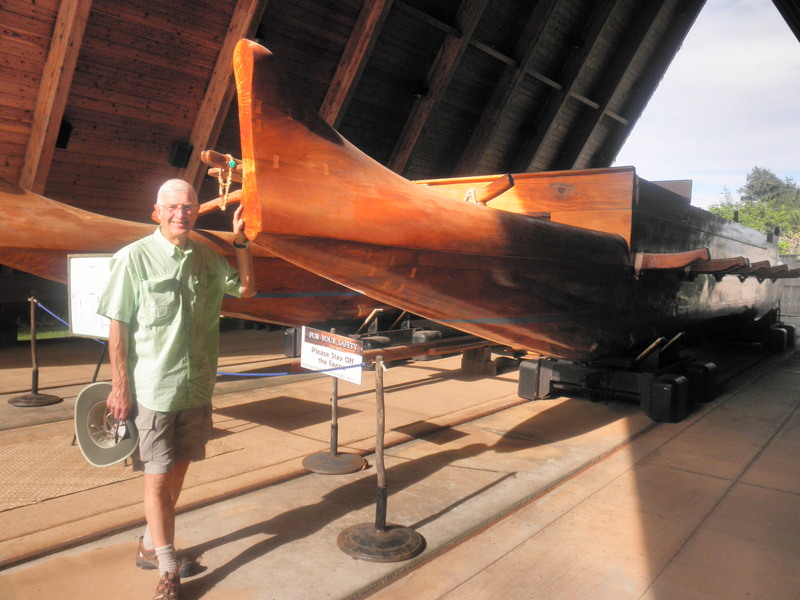 While we were listening to the talk about the sailing ships of yore, our narrator mentioned that there are 7 of these wooden catamarans and one is currently in the waters sailing around the islands saying goodbye before they head around the world. We went to her after and asked if it had a red sail. She showed us the picture of it and it was what Blogger Hubby had seen earlier in the morning. 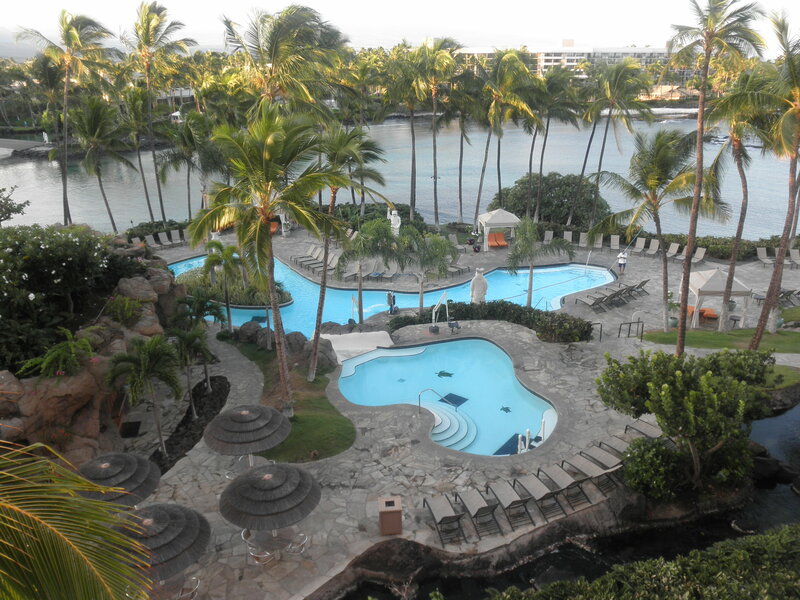 Friends of my husband gave us their timeshare at the Hawaiian Princess. 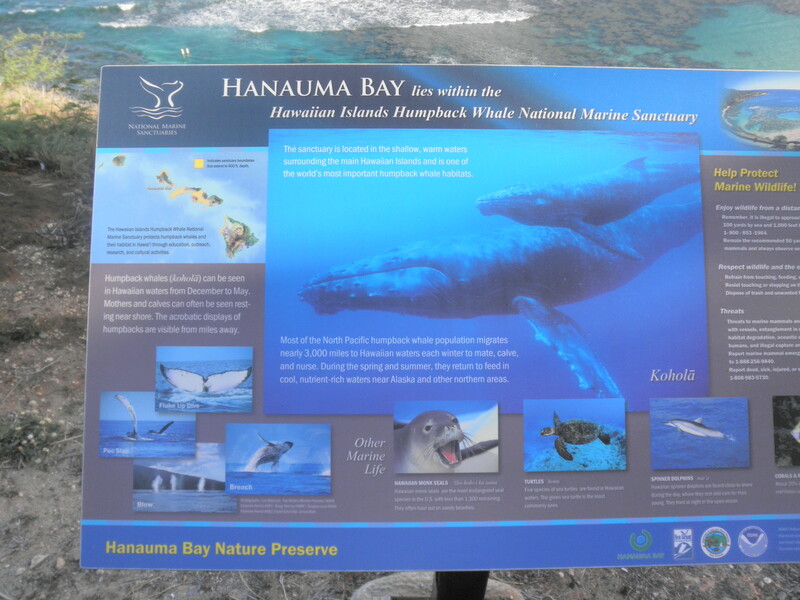 I was really excited since I had never been to Hawaii before. We were warned that it was in a “depressed part of the island” where many of the workers lived. Nevertheless, it was the impetus for this great trip for us. 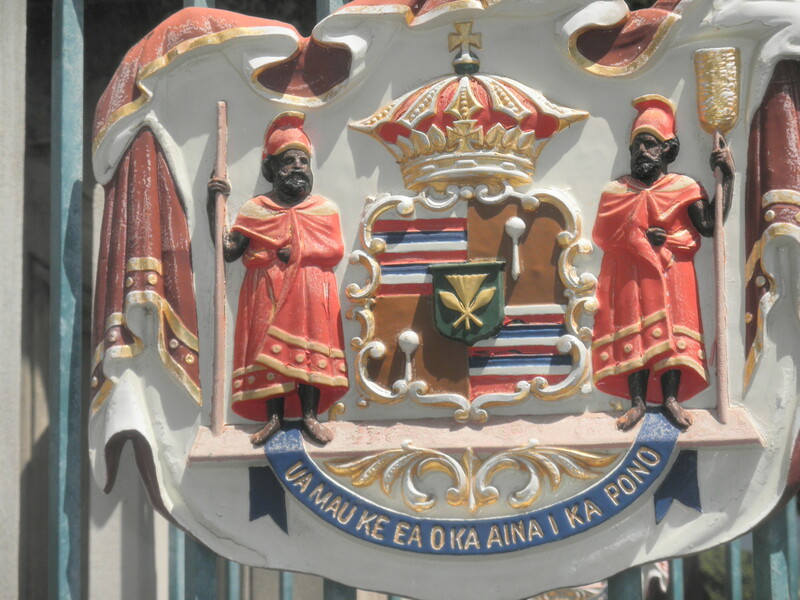 The Hawaiian Princess is in an area called Makaha which is in the northwestern part of the island, about three quarters of the way up the western coast. 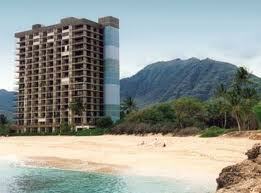 It is a gated high rise with 16 floors, the highest building for miles on a nice beach. There is a swimming pool and hot tub outside as well as a small park to the left of the building. We were given our key and fob (used to open gates and elevator) and parking pass. We had a nice one bedroom corner unit. As we arrived around 5:15 we noticed that the sun was streaming into our unit and it made the unit very hot. We did have a gorgeous sunset from our wrap around balcony. The kitchen was well appointed except for the dull knives and no staples except for take-out salt, pepper and sugar. It did come with a small box of dishwasher detergent, a sample box (like you would buy in a laundromat) of detergent for washing our clothes in the washer/dryer that is in our unit. We were warned not to go into the park next to us as it was a bit sketchy. Other than one morning seeing a many who had slept there all night, it didn’t appear to be sketchy but we heeded the warning anyway. After the “housekeeping duties” were complete, we headed up to the North Shore where I had to have a Shave Ice at Matsumoto’s General Store in Haleiwa. Apparently this is extremely famous and I had actually seen something about it the week before on one of the travel channel. 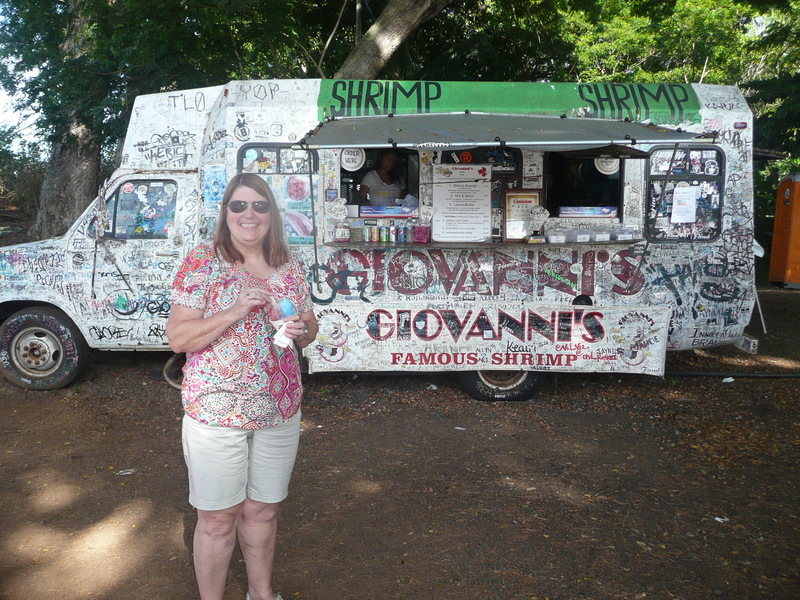 We also got a shrimp dish at Giovanni’s Shrimp Truck – very good. As we drove up the shore, we noticed all the red flags around the beaches. The surf was breaking right at the shoreline and the water was rough. No one except surfers and boogie boarders were in the water. The sand was also a coarse. After a long drive, we went back to our condo. 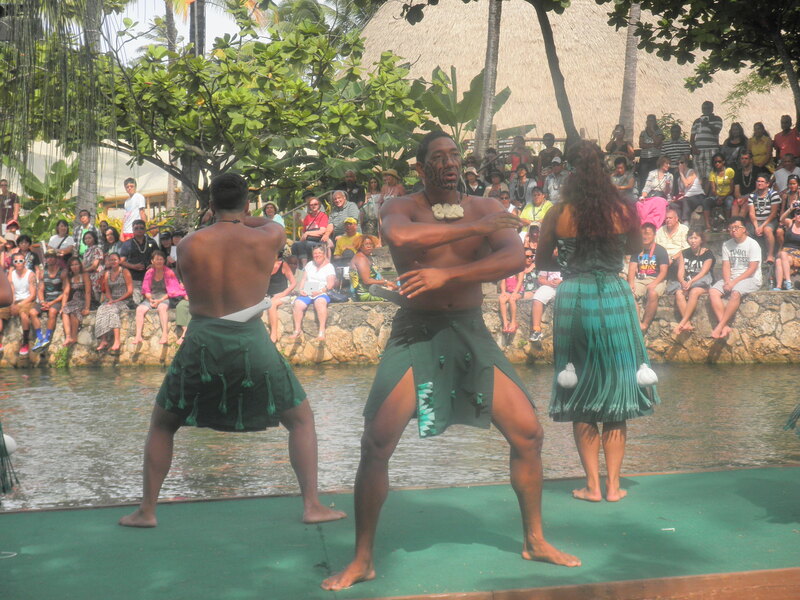 Next up, Polynesian Cultural Center. Since we had a 6:00 AM flight from Detroit Metro Airport we decided to stay at a hotel near the airport. We chose the Holiday Inn Express as IHG has The Big Win promotion going on right now and I wanted to take advantage of it. We were also able to leave our car at the lot behind the hotel for free for 8 days (through the hotel) and then pay $11 per day after that or $8 per day if you have a AAA card or AARP card. We parked our car at the hotel the night we checked in and then moved it that morning to the lot behind the Holiday Inn Express. The shuttle bus was right there to take us to the airport. Check in was a breeze as was security this time of the morning. I took photos of our luggage in case they got lost and I could describe them and show them (yes, mine had the penguin duct tape on it) as well as looking at the luggage tag to make sure they were going to HNL. The people that work the desk are only human and they can make mistakes – I just don’t want it to happen to me. I found out that we could not use the UAL Club because we were flying domestically. It would have been nice but it wasn’t that important. We flew a CRJ (Canadian Regional Jet) from Detroit to Houston. We had two of the 6 First Class seats and to be honest, I would never pay extra for these seats. There was very little recline, no food offered whatsoever though juice/soda was offered. Additionally this jet was freezing cold. I know, at times, I’m always cold but when I see men putting on their jackets and trying to stay warm, I know that it is not just me. The flight attendants did say repeatedly that the pilot was trying to warm up the plane. I happened to get the ONLY blanket on the plane. I asked for a napkin and the FA thought I was asking for a blanket. I took the blanket and still asked for a napkin. Blogger Hubby and I were huddled together under the blanket. Hope this gives you an idea of how cold it was on this very uncomfortable flight. Two and a half hours later we were so glad to get off this plane and get warm at the airport in Houston (IAH). A two hour layover found us having some breakfast near our gate. As the time drew closer for our take off we were all notified by the gate agent that the in flight entertainment system was not working and that we should download movies onto our IPAD’s (hmm, do’t have one) or go to a bookstore and buy a book. She did say they were working hard to fix the problem. We had plenty of books but still, it was over an 8 hour flight – a movie or two would break up the time if we needed it. Just before we boarded I ran back to the food court and bought a lunch for myself. I have not been too pleased with the food on United and had been warned that this flight had terrible food – actually inedible food. Ran to Panda Express for a chicken dish and lo mein. We were able to have pre-boarding due to flying Business Class. Actually there were two business class sections on this plane. The plane had a 2-3-2 configuration so we chose the two together on the side of the plane. This appeared to be one of the older planes as the in flight entertainment is on a tiny foldaway screen in your arm rest that you pull out. Also in the arm rest is the in-flight phone that many airlines had in years (or is it decades) gone by. 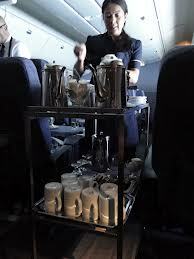 After we were seated our cheery flight attendant (FA) came by and asked us what we wanted to drink. 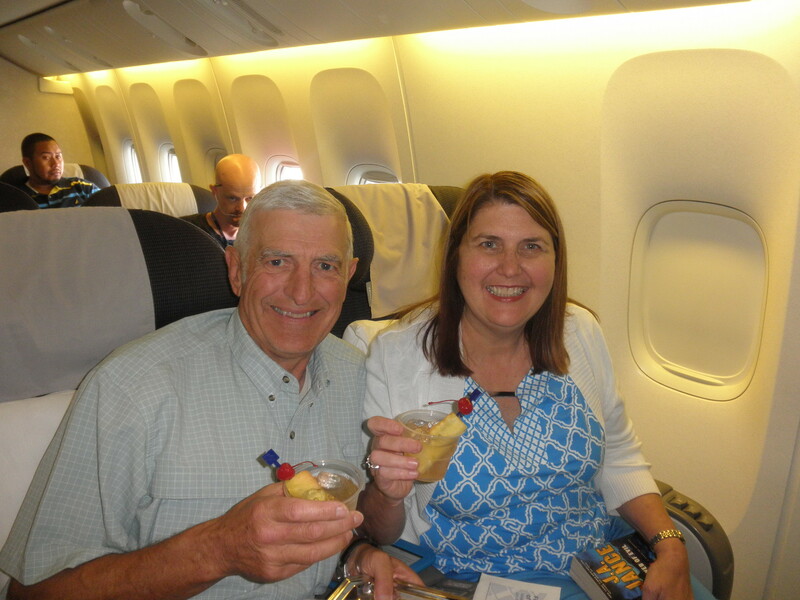 Since this was my first trip to Hawaii, I asked for something “tropical” and sooner than I could blink an eye, Blogger Hubby and I had mai tai’s in our hand. Shortly we were in the air and our FA came by to serve the luncheon. As I had been told, there was only one choice and it was the chicken that I had been warned about. Hubby took the chicken and said it wasn’t bad. I was happy that I had Panda Express. Since we were up at 3:30 AM (EDT)and wouldn’t get to our accommodations till around 11 pm (EDT) wanted to make sure that I had food in my stomach. After lunch, we were served sundaes with all the toppings that you wanted. Sundaes are always a nice treat on a United flight. I slept off and on, read a complete book and saw a movie. We landed in Honolulu and found that we had to walk quite a distance outside to baggage claim. I was glad for the walk since we sat for so long but I’m not sure if some people knew how far it was. 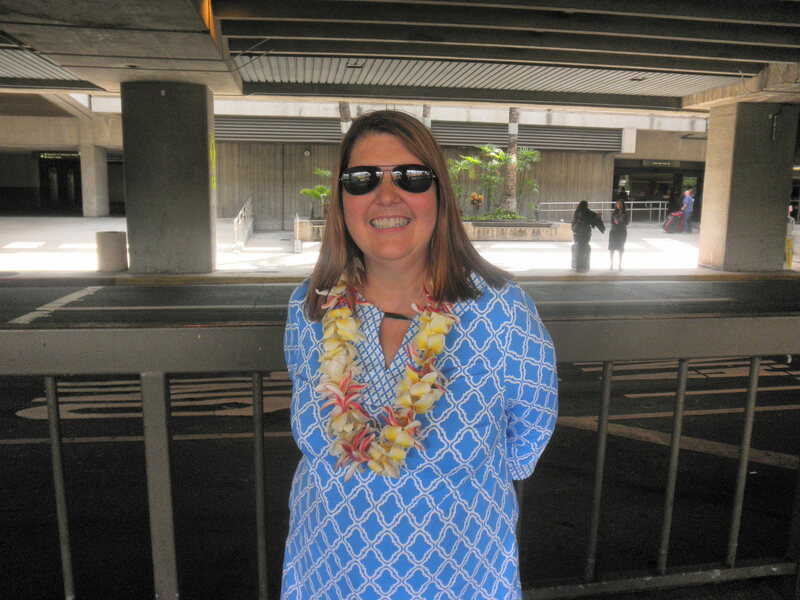 As we were waiting for our luggage, Blogger Hubby surprised me with a sweet scented plumeria lei. The aroma was heavenly. As the bags came off the carousel, ours was easy to find since I used the decorative duct tape that I refer to in this post. We walked outside and waited for the shuttle to take us to National Car rental to pick up our car that we reserved through Priceline.com I had remembered to go through the Ultimate Rewards mall and received extra points for booking it that way. We picked up our white Jetta, after carefully inspecting it and making note of the scratches and marks on the car, and we were on our way to Hickam Air Force base to buy our supplies for the week at the condo in West Oahu. Since Blogger Hubby is retired military, we are able to shop at the commissary. Blogger Daughter, who spent her babymoon here as well went to WalMart where she purchased food for their week here. We finished shopping and were soon on H1 heading west. This traffic is worse than DC traffic in rush hour on a Friday afternoon! For any of you who travel the Beltway or I-95, you know what I am referring to. Next, our stay at the Hawaiian Princess in Makara. While I am traveling this week and part of next week I will be republishing some of my older and earlier posts. It seems that I can’t always get to a computer – it might be because the sun and surf are calling my name. Thank you for continuing to read some of these older posts. Have you ever thought of cruising down one of the famed European rivers visiting the cities along the way? 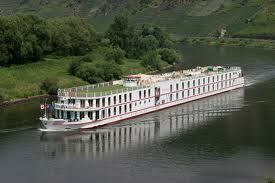 More and more people are being introduced to the idea of river cruising through the heart of Europe. Blogger Hubby and I were fortunate to be able to do it and what an amazing time we had. Let me be perfectly clear from the start – this is in no way like cruising on one of the the big ocean liners. The experience is totally different and there is no comparison at all. When we first begin to look into river cruising we didn’t know where to begin. 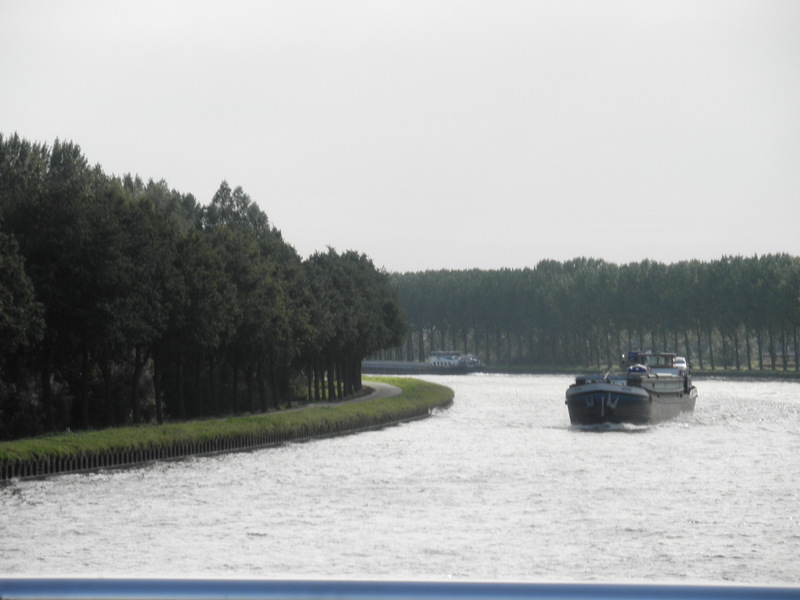 We knew that we wanted to sail down (or is it up) the Rhine River but which line did we want to book with? How long of a trip? What was covered and not covered? What did we need to know that we didn’t know? 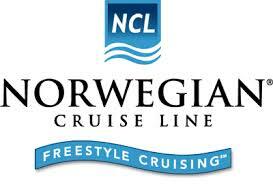 We decided to concentrate on Avalon and Viking cruises. They each went to different cities along the Rhine. We wanted to find out what was special about each city and what did we want to see. The number of days was also confusing to us since they counted the day you left the US as Day 1 – huh? We weren’t even in Europe yet and a day was being counted against us. To make it clearer for me to understand the differences, Blogger Hubby did an Excel spreadsheet. We compared room sizes – and although you don’t spend much time in your stateroom, I like to have a little extra room as we are getting dressed in the morning, or getting ready for bed. We compared costs, whether the boat was going north or south, what categories of staterooms they had and where we thought we wanted to be. We chose Avalon because the rooms were a little larger and since they were rated #2 for river cruising in Europe, we thought they would try harder. 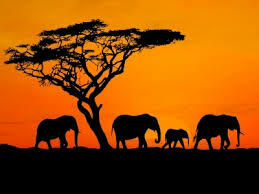 Their land portion was provided by Globus, a well known and regarded touring company throughout Europe. 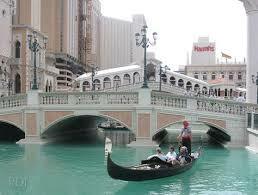 The river cruises provide a city tour every day that you dock on the river. There is no charge for this. 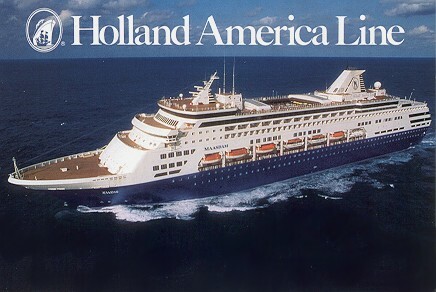 On our ship we had 100 passengers and we were divided into 4 small groups for each city tour. Avalon gave us our own earbuds that we would keep throughout the week. As we left the ship each morning we would pick up a receiver that we would wear around our neck and plug our earbuds into. This way we could hear what the tour guide was telling us without huddling around her straining to hear what she was saying. The guides were all local residents and were very knowledgeable. Afternoons were for exploring on our own or we could choose to come back to the ship. Several days they had optional tours which you paid extra for. We did that only once and it was to Colmar, France – well worth the extra money. Beer and wine were complimentary with meals. After the evening meal drinks were extra in the small lounge area where their was an organist who would play while we danced. One evening we had a string quartet in from Belgium; another night we had Black Forest wood cutters demonstrating their carving techniques. Before the entertainment the Cruise Director always told us about what to expect the next day. Speaking of the cruise director, he is not like a cruise director on the ocean liners. He is here to help you. When someone asked where to buy a souvenir, he told that person to save their money and wait till we got to the Black Forest. When I needed a new battery for my camera, he directed me to a good camera store in Cologne. 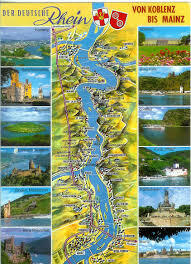 The day that we were going past the many castles on the Rhine, he made a handout and numbered the castles according to the mile markers on the river. He gave a three hour narrative on the castles. Since there was only one seating at dinner, he circulated around in order to sit with as many passengers as possible. He also helped us with our rental car for after the cruise going so far as to call our rental company to make sure we got a GPS with our rental car. There was no muster drill on this cruise. Basically we were told that the captain would get the ship as close to shore as possible and we could walk the rest of the way out of the river. If you miss the ship when it left port, the cruise director instructed us to call his cell phone number and he told us to take a cab where we could meet the ship. That gave all of us peace of mind. As we cruised along the river, we always had something to look at rather than just the open expanse of the sea. 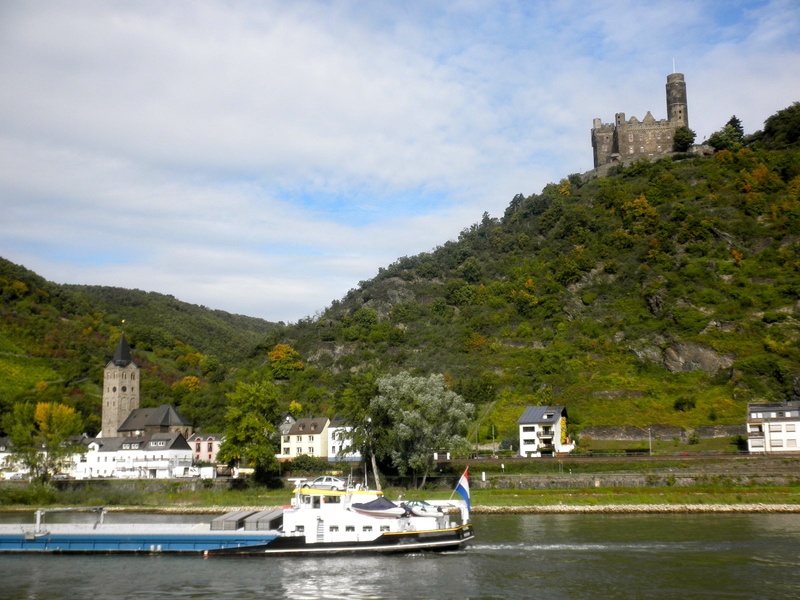 We enjoyed seeing all the small cities and towns along the Rhine. Dress on river cruises is very casual though there is one dress-up night. No gowns or tuxes were seen but rather a nice business dress. 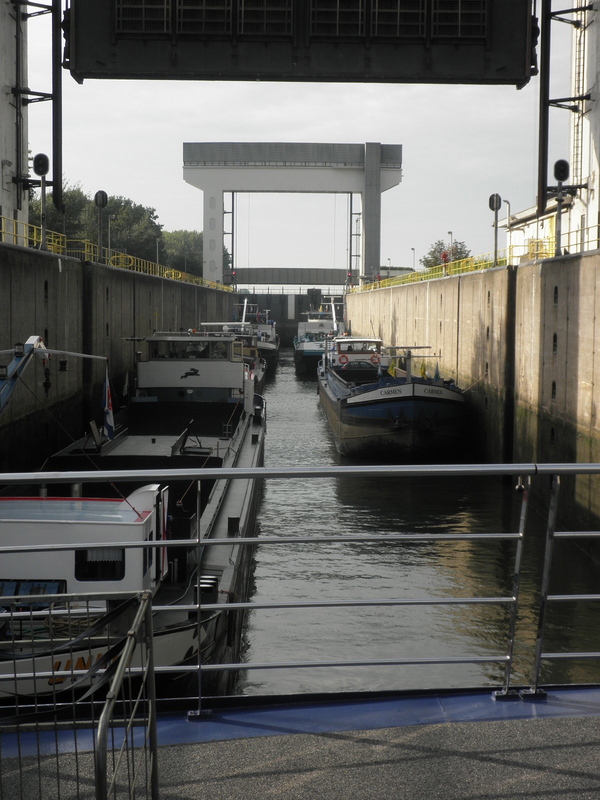 One of the fun parts about river cruising is all the locks you go through. I believe there are about 30 between Amsterdam, where we embarked, to Basel, Switzerland where we disembarked. If you are a light sleeper, you will be wakened during the night. I was never woken up but several on our ship were. It is amazing how close you get to the sides of the locks. I could put my hand a few inches from our cabin French balcony door and touch the lock wall. The ships have three levels of accommodations. We were on the middle and could open our French balcony door (no balcony to step out on) and look down a few feet to the water. The lower level you were underwater and closer to the engines. The upper level was more expensive. I was very happy with our location. We have decided that we want to do more river cruising. How does the Danube in the springtime sound? 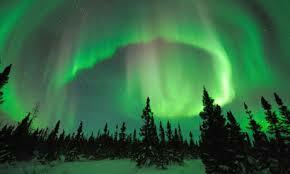 If you don’t want to go to Europe for river cruising, you can do it on the Mississippi and Columbia Rivers. Did you know that you do not have to buy your EZ Pass packet from your own state? Each state has a different fee structure and it pays to know what the fees are. Some states charge a monthly maintenance fee while others do not. I had been wondering which state was the most economical so I set about to do a little research. Delaware – $0 for email/web statements, $8/year for quarterly paper statements $15 per internal or external transponder (non-refundable) $10 minimum balance (Account charged a replenishment amount based on monthly toll usage.) 50% off cash rates for Delaware SR‑1 when 30 or more qualifying trips are made by a two-axle passenger vehicles within a 30-day rolling period. Indiana (formally i‑Zoom) $1 per month/transponder $10 per internal transponder (refundable) $2.50 minimum balance (first 90 days), then $2.50 minimum balance or 25% of average monthly usage, whichever is greater. (Account is charged a minimum replenishment amount of $10 in the first 90 days, after which the minimum replenishment amount is based on the previous three months of usage on your account and is recalculated on the first of each month, the minimum amount being $10.) Discounts available to all transponders. Percentage varies by exit. Maine – $0 per month $10 per internal transponder (non-refundable); $17 per external transponder (non-refundable) $15 minimum balance (Account is charged a minimum replenishment amount of $20 when your account drops below minimum balance.) Discounts based on travel volume: 30-39 account trips per month will equal a 25% discount applied to monthly account trips. 40+ account trips per month will equal a 50% discount applied to monthly account trips. Maryland – $1.50 per month (waived if 3 Maryland E‑ZPass tolls incurred within a given month) $9 per internal transponder (non-refundable), $33 per external transponder (non-refundable), $40 per internal FUSION CVO (PrePass & E-ZPass all-in-one) transponder, $18 per internal E-ZPass Flex transponder (For use on I-495 Express Lanes) $10 minimum balance (Account is charged a minimum replenishment amount of $25 or an amount equal to you average monthly usage, whichever is higher.) Discounts available to Maryland E‑ZPass users only. 10% discount off the passenger vehicle cash rate at all Maryland toll facilities except the InterCounty Connector (Maryland State Highway 200). Various other plans available for bridges and regions. Massachusetts – $0 per month if monthly statements by are sent by e-mail; $0 per internal transponder; $20 minimum balance. Account is charged a replenishment amount whenever the balance falls below $10, replenishing the account to a balance of $20. If usage exceeds $20 in any given month, the account is charged $40. 25¢ discount at Allston-Brighton tolls, 50¢ discount at Sumner and Ted Williams tunnels and Tobin Memorial Bridge. New Hampshire – $0 per month $8.90 per internal transponder (non-refundable)$15.19 per external transponder (non-refundable) $30 minimum balance. Account is charged a minimum replenishment amount of $30 in the first 35 days, after which the minimum replenishment amount is based on the previous three months of usage on your account, the minimum amount being $30. 30% off cash rate for NH transponders only. Other transponders pay cash rate. New Jersey – $1 per month membership fee + $1 bimonthly for print/email statements $10 per internal transponder (refundable) or $0 if credit or direct debit replenishment. $10 or 25% of your replenishment threshold, whichever is greater. Account is charged a minimum replenishment amount of $25 in the first 90 days, after which the minimum replenishment amount is based on the previous three months of usage on your account, the minimum amount being $25. Various discounts for NJ transponders only. Other transponders pay cash rate. New York – $1 per month PANYNJ account service fee (no fee for MTA, Thruway, or Bridge Authority accounts) + $6/yr for monthly paper statements (bimonthly statements are free) $10 per internal transponder (refundable) or $0 if auto-replenish $10 minimum balance Account is charged a minimum replenishment amount of $25 or an amount equal to your average usage in a 90‑day period, whichever is higher. At all Port Authority facilities, E‑ZPass discounts are available. At MTA Bridges and Tunnels, $1.70 off cash tolls. $3.40 off round-trip at the Verrazano-Narrows Bridge and $1.45 discount at the Marine Parkway-Gil Hodges Memorial and Cross Bay Veterans Memorial Bridges. At all New York State Thruway and New York State Bridge Authority facilities, E‑ZPass discounts apply. North Carolina (Quick Pass) – $0 per month, $1 per month after 12 consecutive months of no toll transactions. $20 per internal (hard case) transponder $20 minimum balance for first two transponders, $10 for each additional transponder, up to five transponders total. Account is charged a minimum replenishment amount of $10 or when account balance is 25% of your replenishment threshold, based on the previous three months of usage, whichever is greater. Ohio – 75¢ per month $0 per internal transponder ($25 replacement fee within first four years) $25 minimum balance per transponder. Account is charged a minimum replenishment amount based on the previous three months of usage, or the amount needed to return the account balance to $25.00 per transponder, whichever is greater. Ohio discount available to all transponders. Percentage varies by exit. Pennsylvania – $3 per year/transponder $10 per internal transponder (refundable) or $0 if credit or direct debit replenishment $10 per transponder. Account is charged a minimum replenishment amount of $35 whenever the balance reaches a total value of $10 or less ($15 or less for manual replenishment accounts) per transponder. If your account requires more than the allowed replenishments in a one-month cycle (2 times for credit cards and 3 times for ACH), the amount of replenishment will switch to average usage. 25% discount off cash rate to all transponders. Based on the information in this chart, I will be making a change from one state to another. The state that I believe has the best rates is Massachusetts. When you get the drop down bar it will say Massachusetts, leave it that way but change your address to your state. Follow-Up – I did indeed purchase from Massachusetts. They sent me an email before sending out the EZPass transponders to make sure that is what I wanted to do in case there were any discounts from my home state. The transponder is much smaller that what I had from Pennsylvania. Which one did you get? Blogger Hubby is ALWAYS telling me to pack less particularly when we will be schlepping our luggage from place to place, up very narrow staircases and in and out of trains. I admit it, I am an overpacker and would go to a support group if I could find one. “Let me pack this just in case I might need it” is something he hears frequently. At the end of every trip, I admit to myself (never out loud so he could hear it) that I brought too much and also brought home things that I didn’t wear or only wore so I could say that I wore it. I googled about ways to pack more efficiently and learned some important tools. Choose a couple of complementary colors. In my case, since I was taking a fall trip, I choose black, grey and herringbone pants. My tops were a teal, black and a black/grey/white print – colors that would go with any of those slacks. Also in my suitcase was a scarf that I could wear to dress up the tops, put over me as a blanket on our flight over and wear with my solid color dress that I needed. I brought two pairs of shoes – good, sturdy walking shoes and a pair of Mary Janes. Since my dress wasn’t overly dressy, the Mary Janes worked. I also brought a thin roll-up water resistant jacket, a sweater (not bulky) and a thinner turtleneck sweater that I could layer under the sweater or wear alone. Other than my 3 pairs of travel underwear (wash at night and by morning they are dry)and three pairs of Smart Wool socks and my nightgown that is all I brought for clothing. By staying with a few colors I know that everything will match, blend or coordinate with each other. 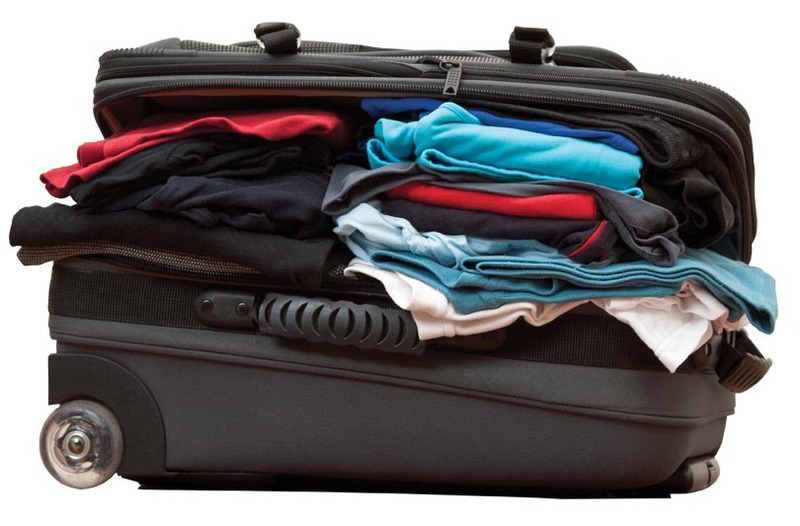 I will admit that it made travel much easier by only having one carry-on size suitcase and I didn’t struggle everyday as to what I was going to wear – I only had so many choices. I’ve learned to roll my clothes to keep them more wrinkle free than regular folding. I also bring with me a small spray bottle (that I fill with things while packed in my suitcase) so I can give those clothes a quick spritz when I hang them up – perfect for getting wrinkles out. How do you pack? Do you have a secret that makes it easier or do you bring everything? Please share your secrets. 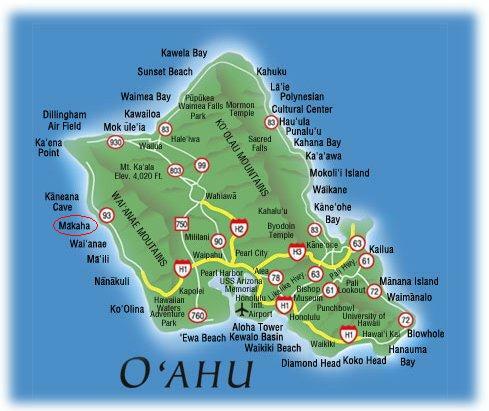 As you might know, Blogger Hubby and I are on the island of Oahu, traveling tomorrow to Kauai. IT was a quickly put together trip using my American Express Membership points, transferring them to Singapore Air and then redeeming them to fly on United at fewer points that I would have had to spend using the United Award chart. Once onboard the flight from Houston to Honolulu, which was our longest leg of the trip, I wanted to get into the tropical mood. When the flight attendant came by and asked what we wanted to do, that was my request – something tropical. Soon we had Mai Tai’s in our hands. 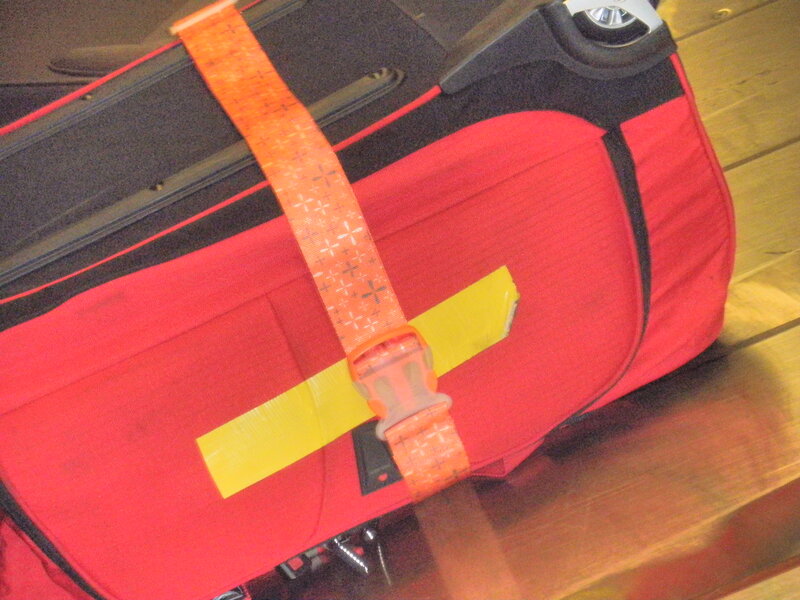 You remember from this post how I now use the funky duct tape that is found in Staples, WalMart, etc to put on my luggage. 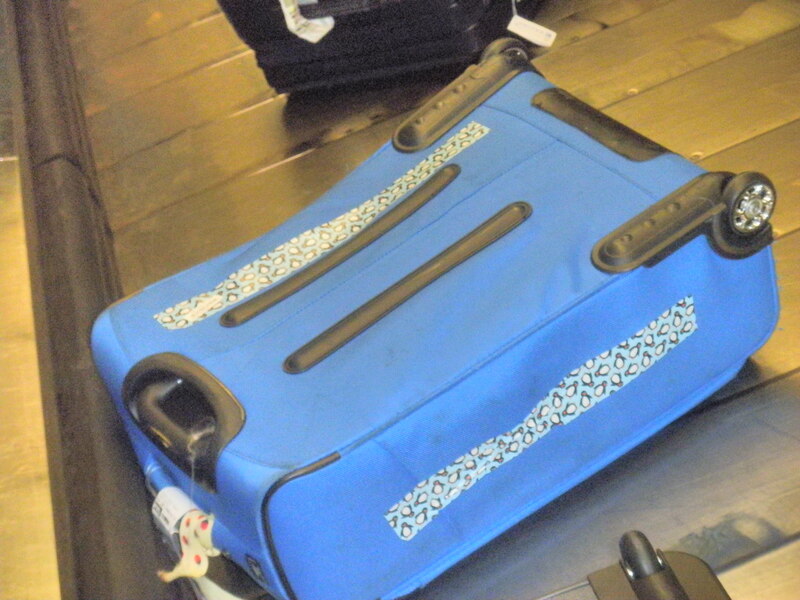 I do it so that I can identify my luggage immediately AND to prevent someone from thinking that my luggage is theirs. In fact as I was telling a friend of mine about this last week, he admitted that he accidentally took someone else’s luggage by mistake. Anyway, thought you’d like to see a few pictures of our luggage coming off the conveyer belt onto the luggage carousel. I’ll be writing more about this trip but for now…aloha and mahalo for reading Air, Land and Sea. Cruising is a wonderful way to take a vacation for many of us. You can do as much or as little as you want and yet you are still on vacation and visiting several different countries while staying on the ship. For some of my friends that are mobility challenged, this is ideal. For others that are very active it is ideal as well. For families there is so much to do for kids, adults and their parents. 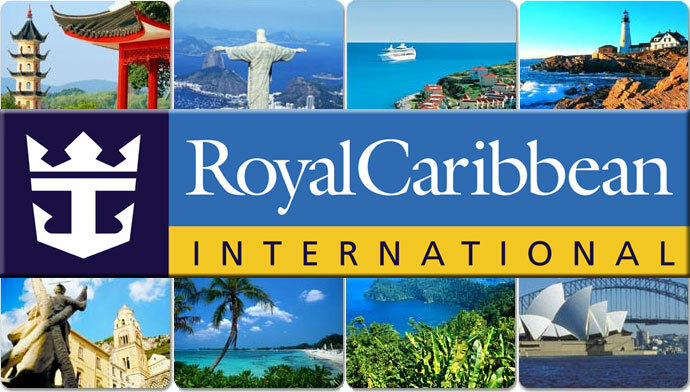 I’ve taken many Caribbean cruises and have enjoyed them. Most of them were not spectacular but more of an enjoyable vacation, good food, entertainment as well as seeing a different island each day. After a number of Caribbean cruises it seemed to us that the islands all tended to blend in to each other and was difficult to distinguish one from the other….If this is Tuesday it must be Martinique. Nevertheless, there are so many great benefits about cruising. I do enjoy seeing something different each day without the hassle of packing and unpacking I always know where I am going to sleep at night and not have to drive or walk or sit at an internet cafe to find lodging for the night. Same benefit for meals. Although we are generally not being served regional food from the area that we are cruising to, we do know where we are going to eat every night. There are several dining options on a cruise ship but the two primary ones are fixed seating and open dining. With fixed seating you eat at the same time, same table and the same table mates every night. There is Early Seating and Late Seating and you need to let your travel agent know which you want at booking. Generally that works out for me but one time my daughter and I were cruising and at our table was a couple my age (the parents) and a couple her age (their daughter and her fiance). They were on a back to back cruise and the younger couple was going to get married on the second portion of their cruise. All through dinner they talked about the upcoming wedding. We were very happy for them but it was not a conversation that we felt part of and nor should we. We went to the dining room maitre d’ and requested another table. We were fortunate that the new table had both passengers my age and my daughter’s age. You do not have to sit and suffer. The other main option is Open Dining or Anytime dining. Theoretically you could go to the other dining room any time and get a table. In theory that sounds great but it doesn’t always happen that way. Many people do like to dine at 6:30 and you can get a table after they dine if you prefer a little later. You can make reservations but not for any time you want. With this type of dining you will be seated at a different table every night and with different people. Blogger Hubby and I did it that way one time when we were traveling by ourselves. It was a great way to meet other people. We found one couple that we really liked and arranged to make a reservation with them for the following night. Other dining options are to eat at the Lido buffet or one of the specialty restaurants that have an extra charge for and in my opinion it is well worth it. We always do a specialty restaurant once per cruise. The last option is room service of which there is no charge for but you do need to tip the person bringing your food to your room. A nice dinner on your balcony watching the sun set is a very romantic option. 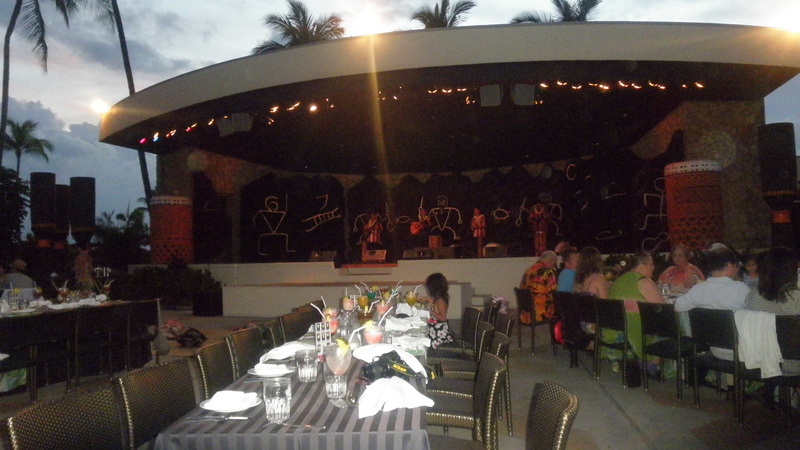 On the ships there are many venues for entertainment. Whether it is in a lounge for classical music, the Piano Bar for a rocking good time, the movie theatre to see a first rate movie, listening or dancing to a small band, the casino for a spin with Lady Luck, or the theatre for a production show – there is always something to do. In addition to these cruise lines, there is also Celebrity, Norwegian Cruise Line, Crystal, Costa, Disney Cruise Line, Regent Seven Seas, and others as well as smaller cruise lines such as Oceania and Azamara. When choosing to cruise, learn about the different personalities that each cruise line has and see if it fits in with your needs, expectations and personality. Some are geared to the younger crowd, some to the young, the middle-agers, some to a senior crowd and some to families. They all do have a combination of ages which makes it convenient for family trips but generally with an emphasis on one of the age groups. 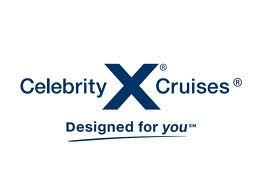 What is not included in your cruise price is any wine, beer, specialty coffees, smoothies, hard liquor that you consume. Some lines allow you to bring wine and champagne on board with Celebrity allowing 2 bottles per stateroom and Holland America allowing you unlimited. I also bring on board soft drinks for my consumption and bottled water. If you choose to play the casino or Bingo, those charges are not included in your cruise and would be extra. Also any tours you take while on land is not included. In future posts I’ll talk about how to book a cruise and how to book excursions either booking with the cruise line or on your own.